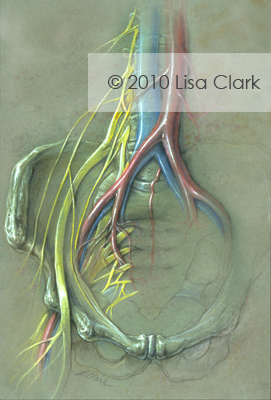 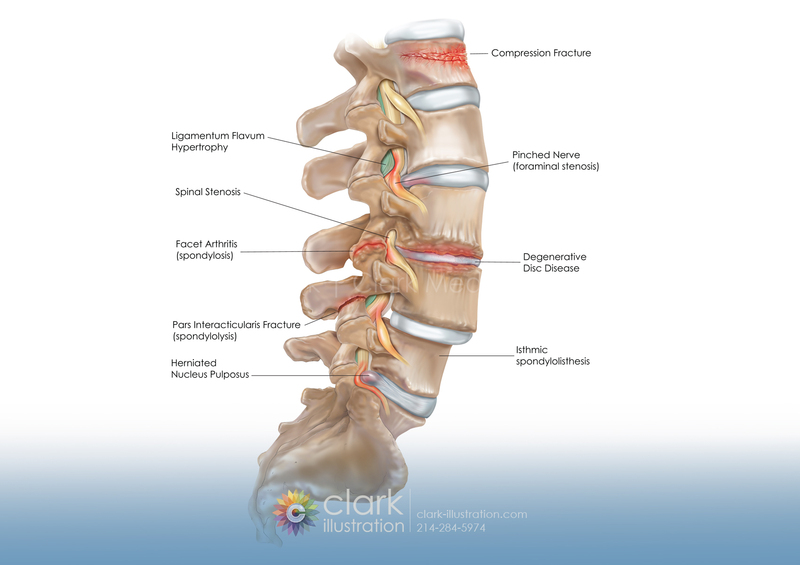 Illustration for a poster about spinal conditions and diseases, including compression fractures, ligamentum flavum hypertrophy, foraminal stenosis (pinched nerves), spondylosis (facet arthritis), degenerative disc disease, spondylolysis (pars interarticularis fracture), isthmic spondylolisthesis, and a herniated nucleus pulposus. 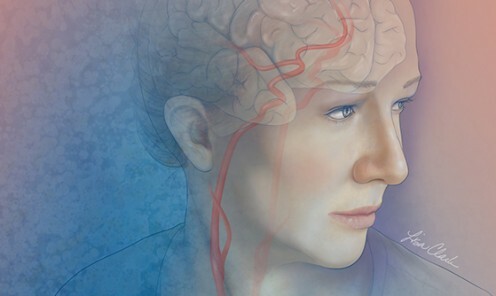 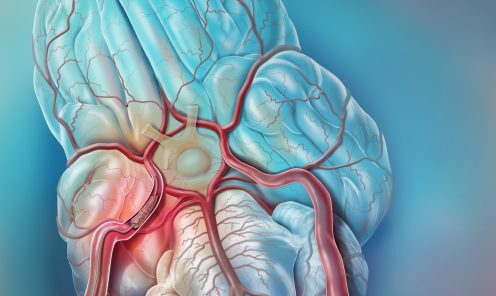 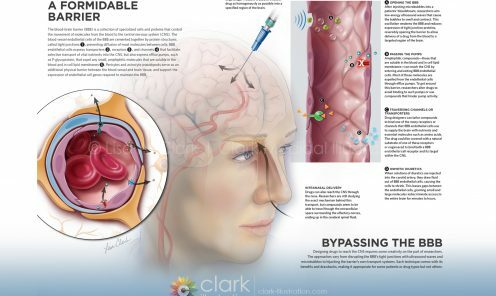 Occipital Nerve Stimulation (ONS) therapy consists of applying mild electrical stimulation to the nerves via wires implanted just under the skin, near the occipital nerves at the base of the head. 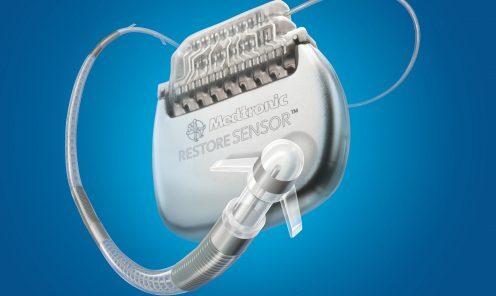 The wires are connected to an implanted battery that generates the stimulation, which interferes with pain signals and may evoke the sensation of tingling or paresthesia. 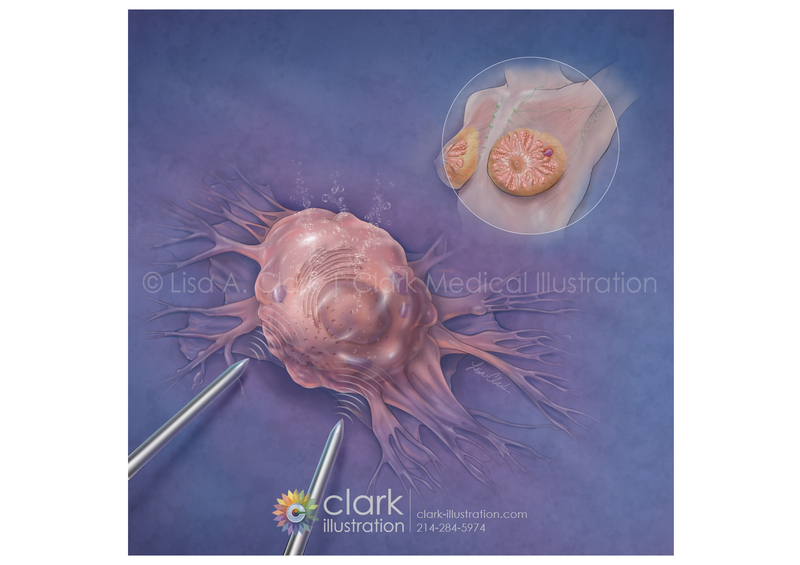 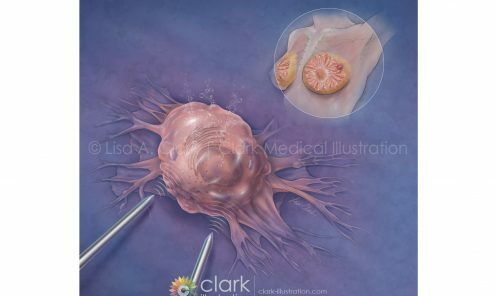 Journal cover illustration about the use of nano-pulse stimulation to treat breast cancer. 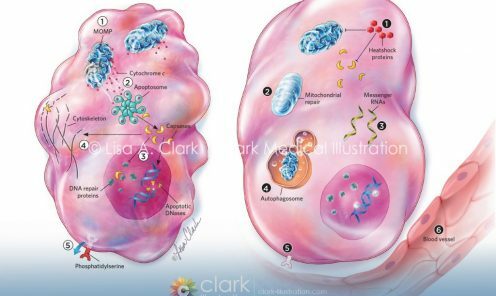 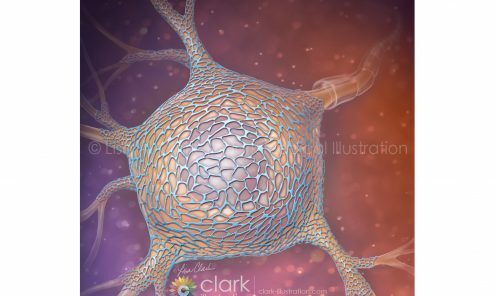 Nano-pulse stimulation is believed to trigger a signaling cascade within the tumor cells that ends in immunogenic apoptosis. 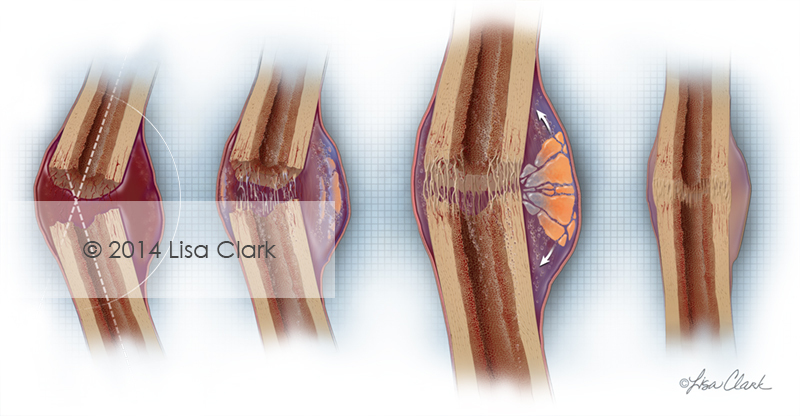 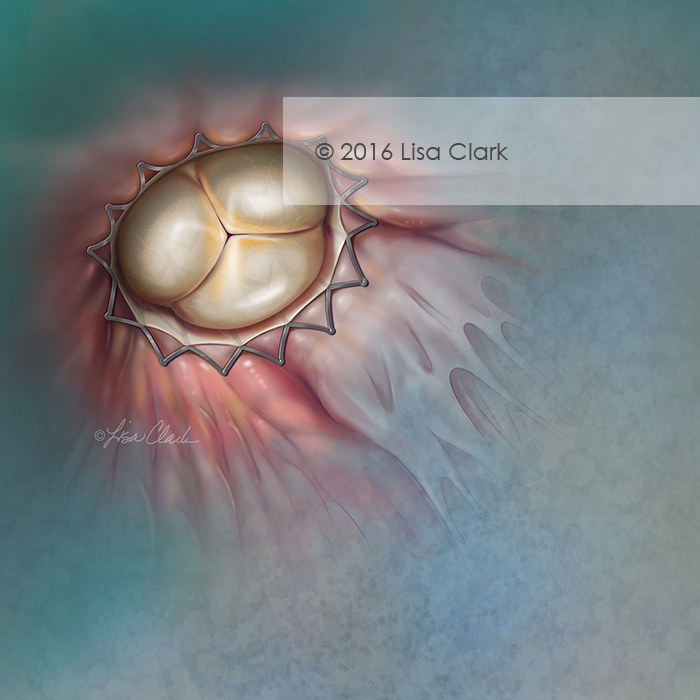 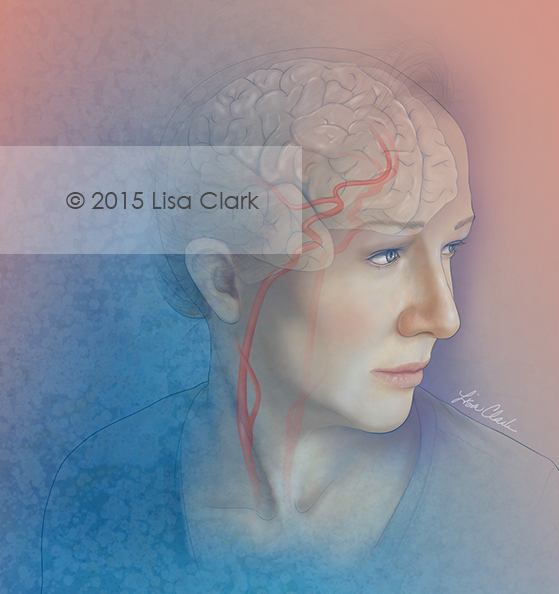 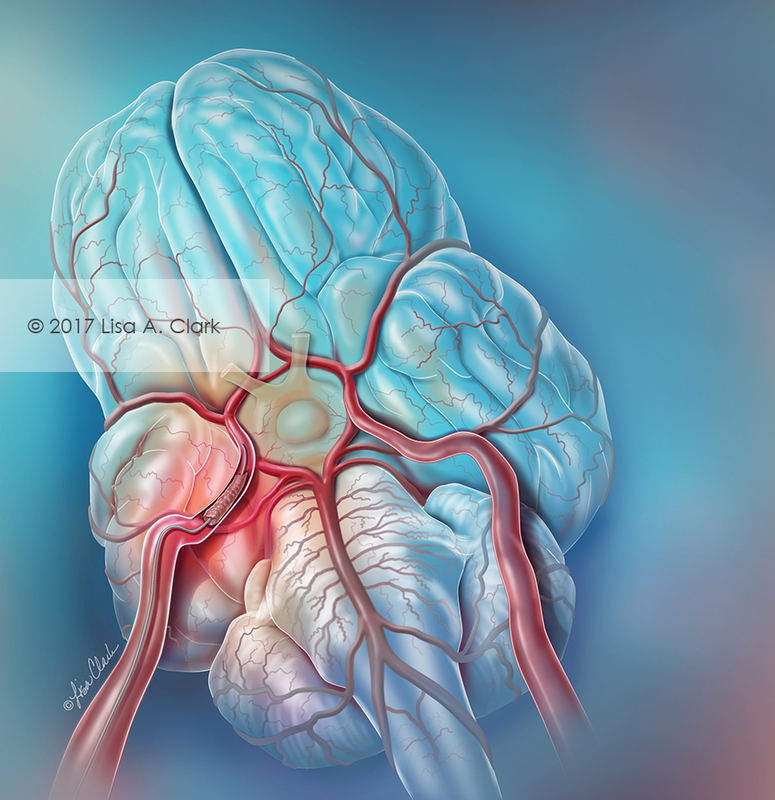 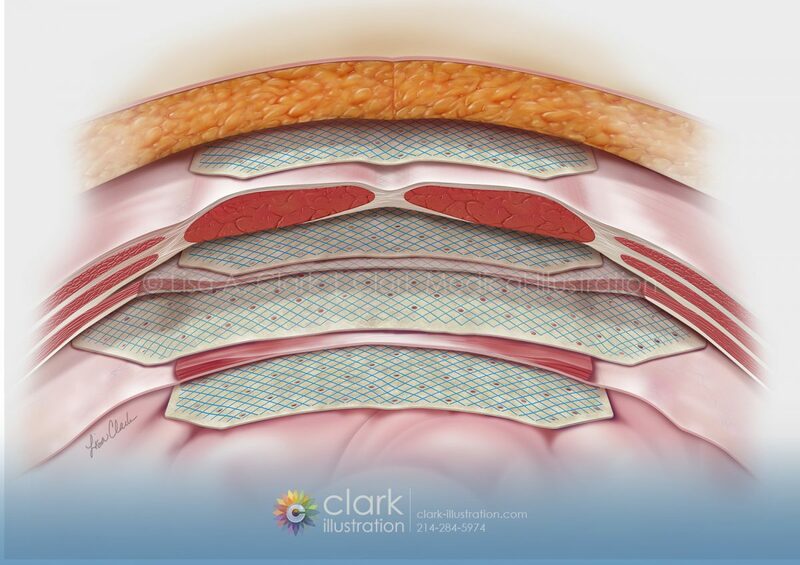 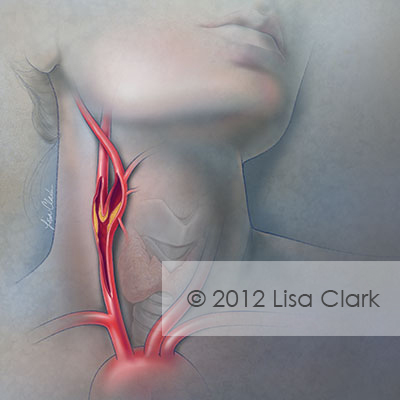 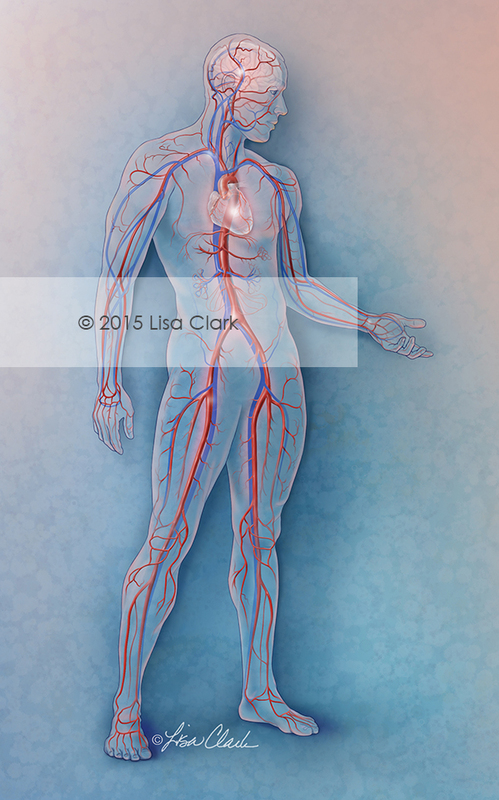 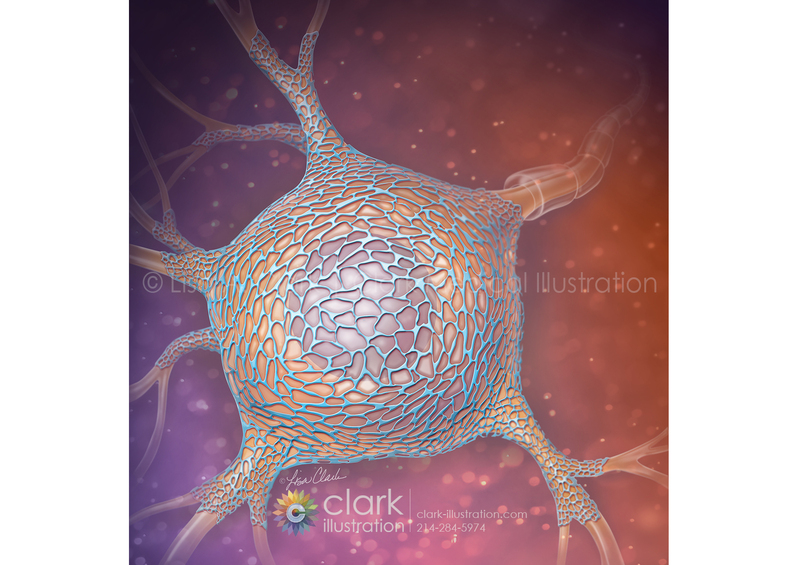 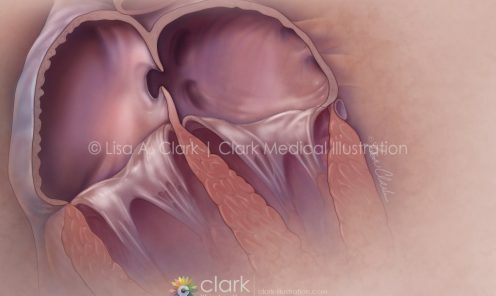 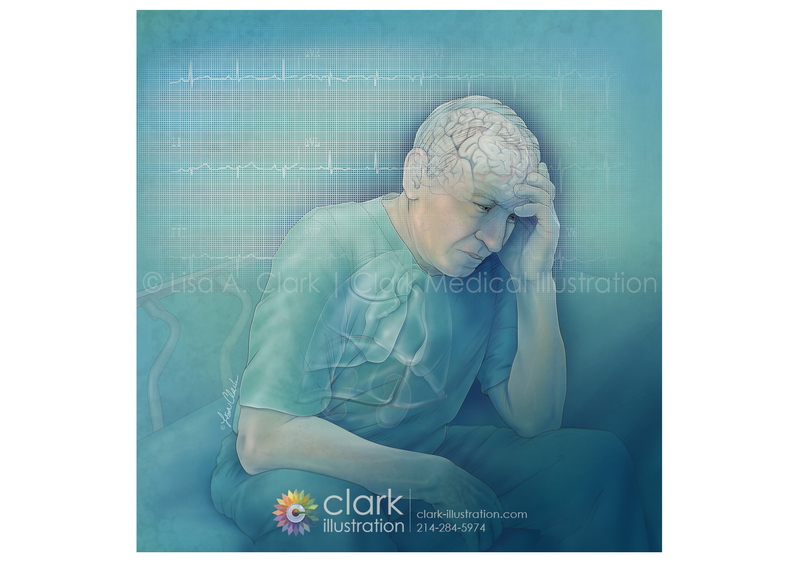 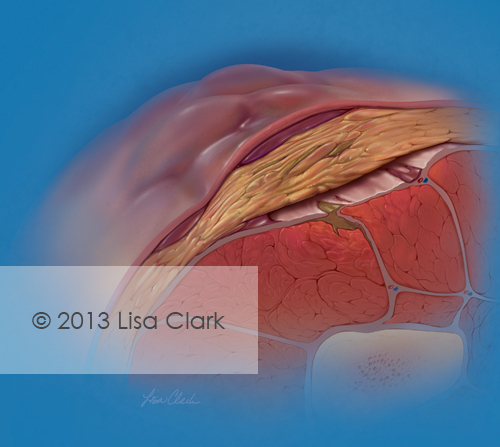 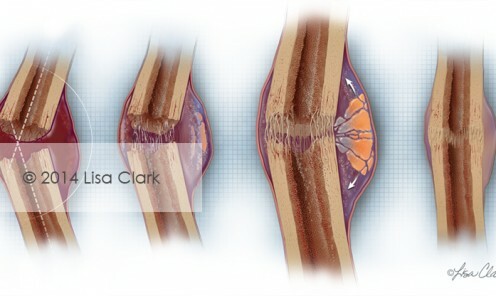 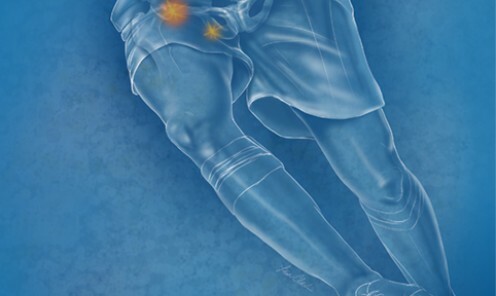 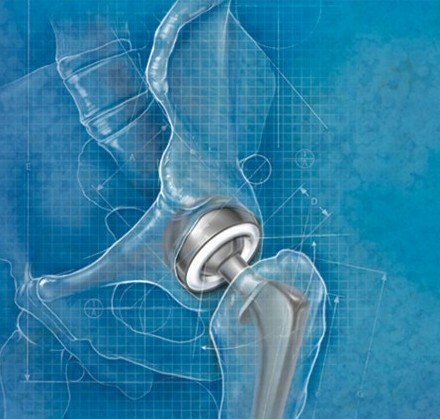 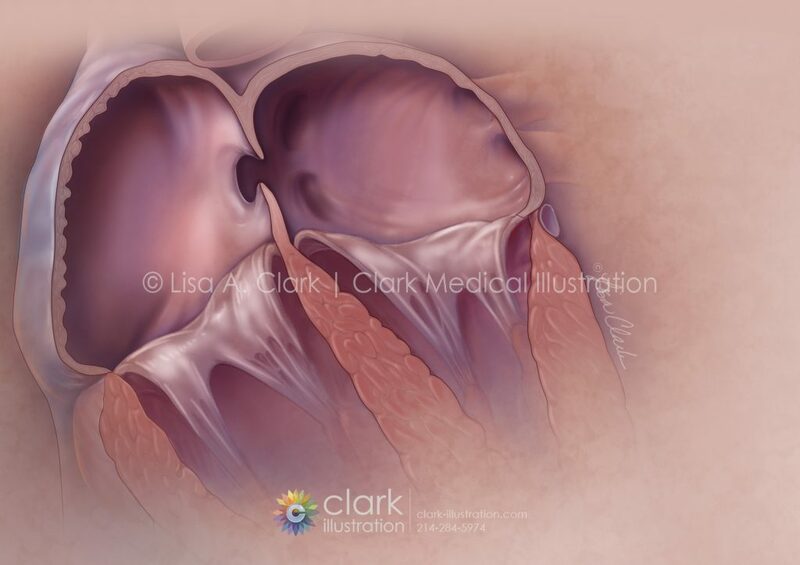 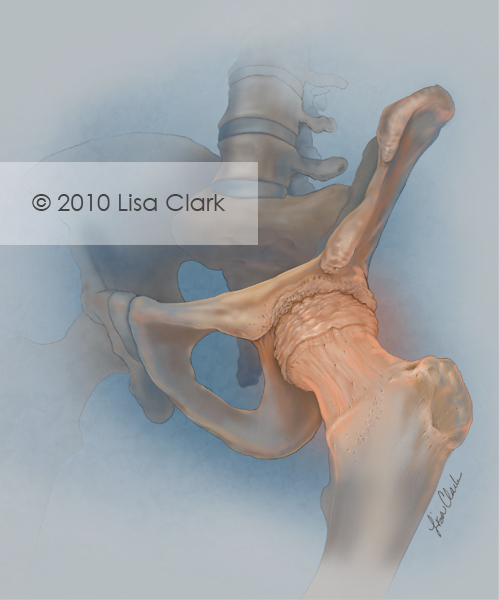 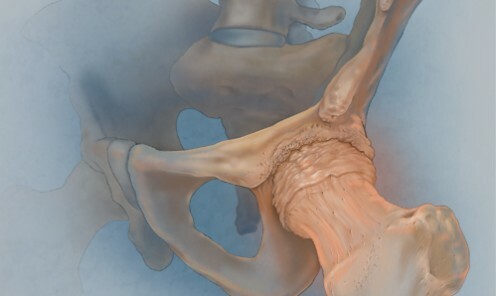 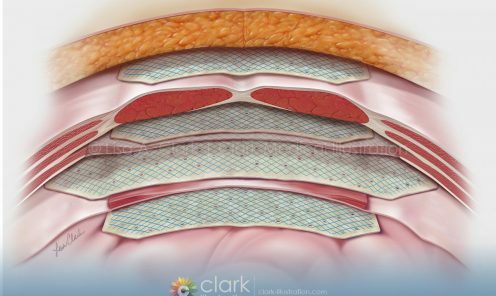 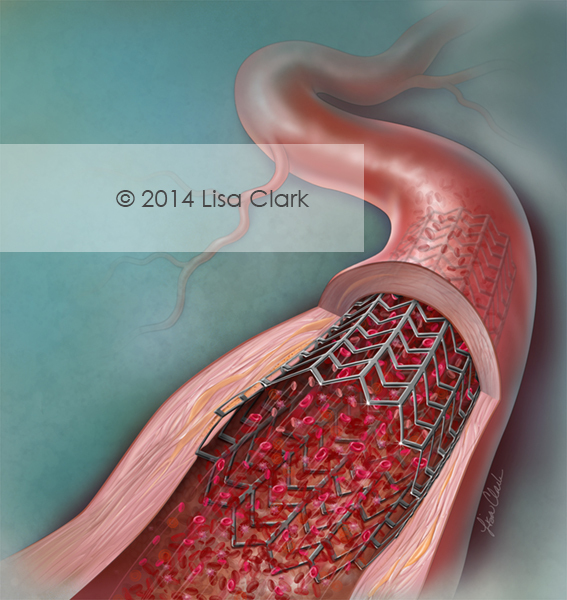 These illustrations were created for a medical device company to describe common spinal disc injuries. 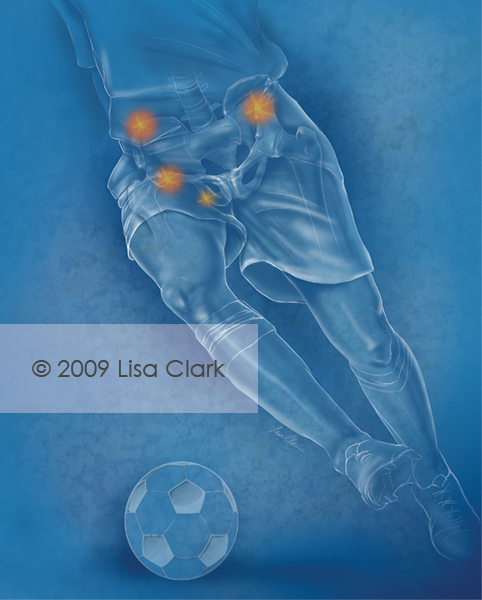 Intervertebral discs act as cushions between vertebrae in the spine. 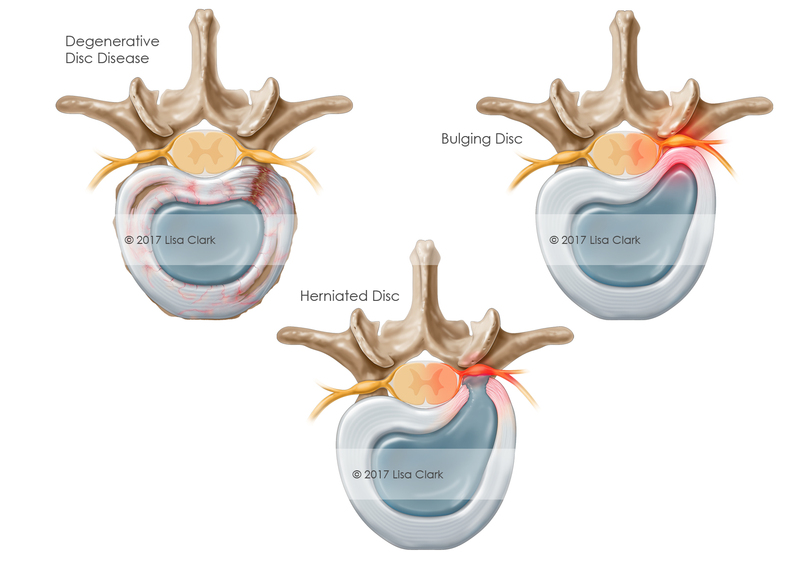 Degenerative disc disease is a term used to describe the changes to spinal discs as we age. 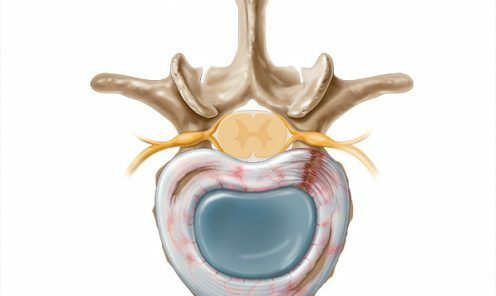 When a disc bulges, it can put pressure on the spinal nerves, causing pain. 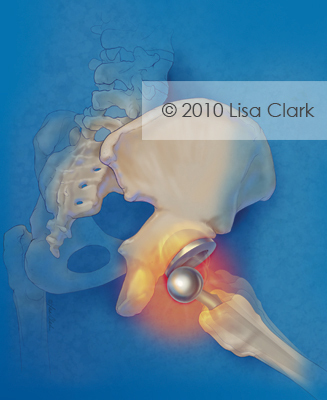 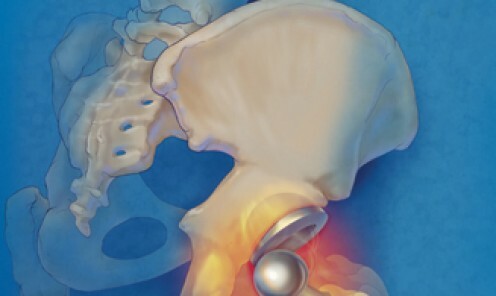 In herniated discs, the jelly-like fluid within the disc leaks out due to a rupture in the annulus. 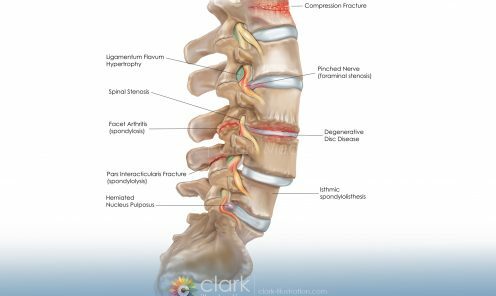 This also causes pressure on the spinal nerves and pain. 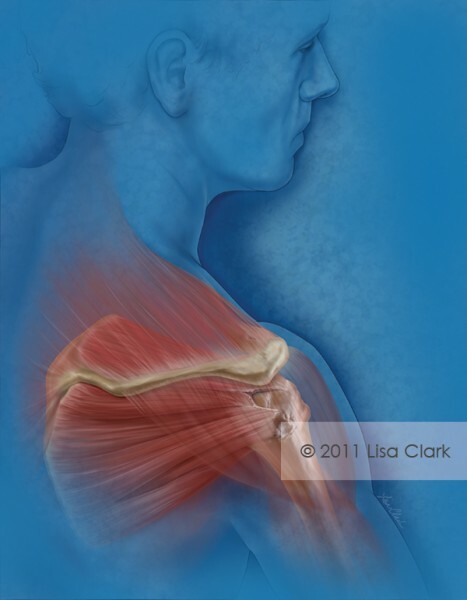 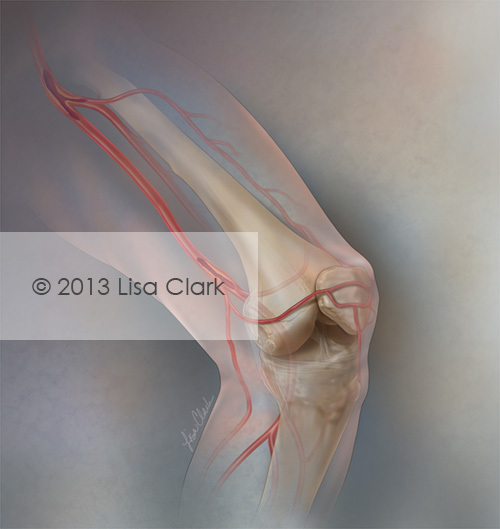 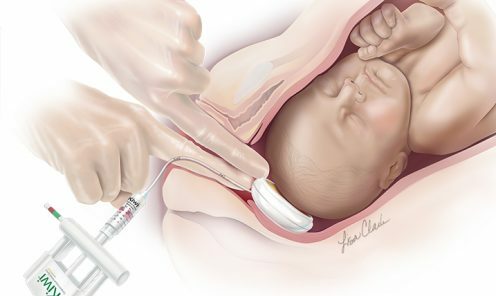 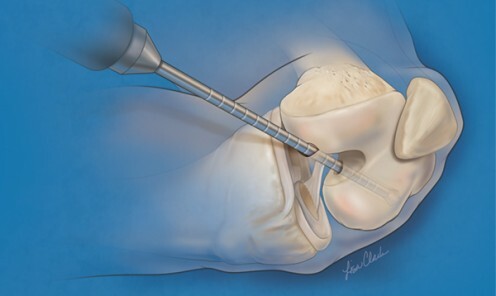 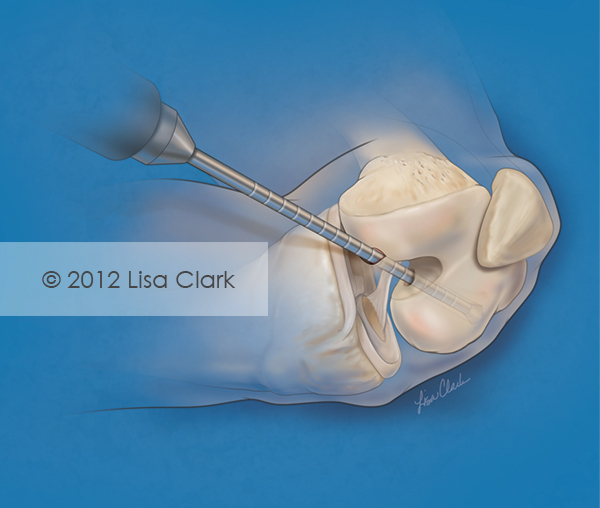 An intramuscular (IM) injection is a shot of medicine given into a muscle. 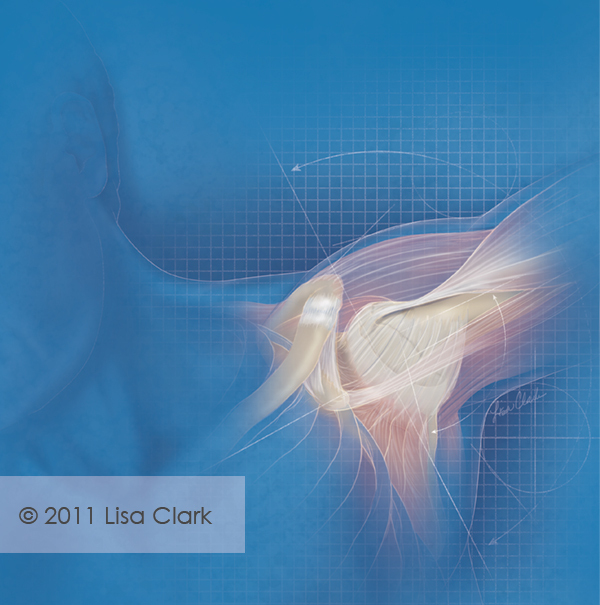 Certain medicines need to be given into the muscle for them to work correctly. 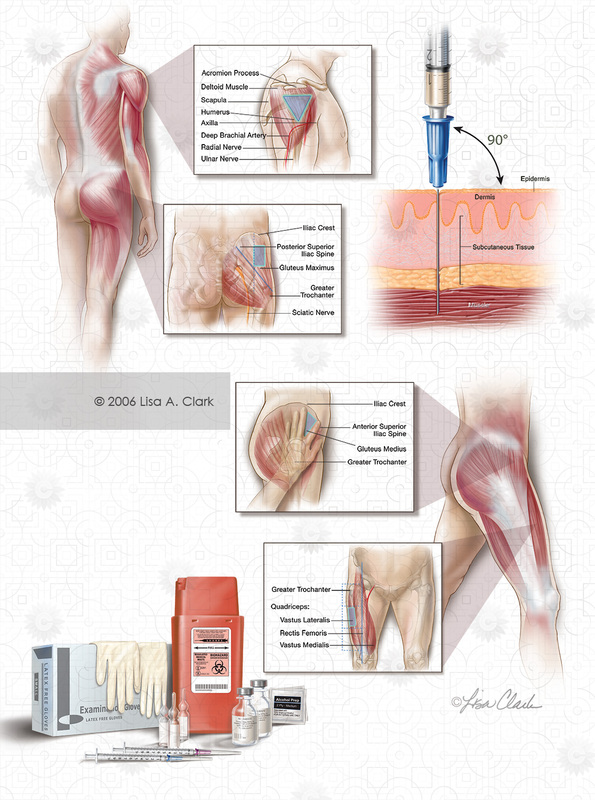 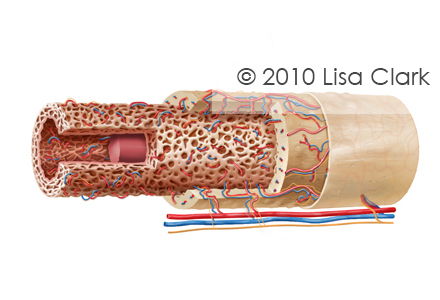 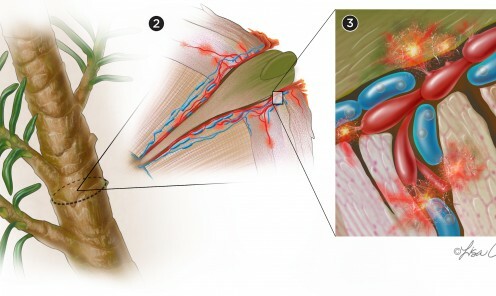 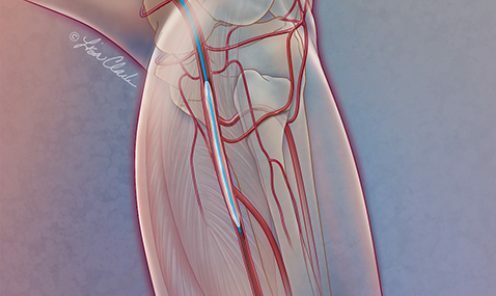 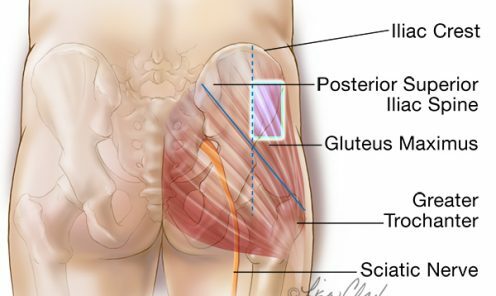 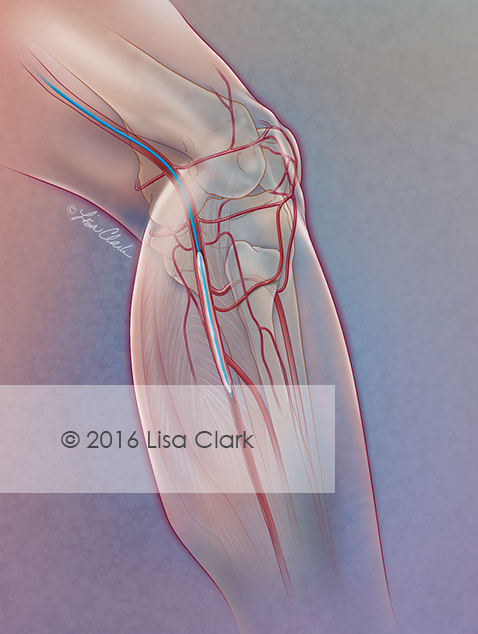 This illustration depicts the various intramuscular injection sites including the upper arm, buttocks, hip and thigh. 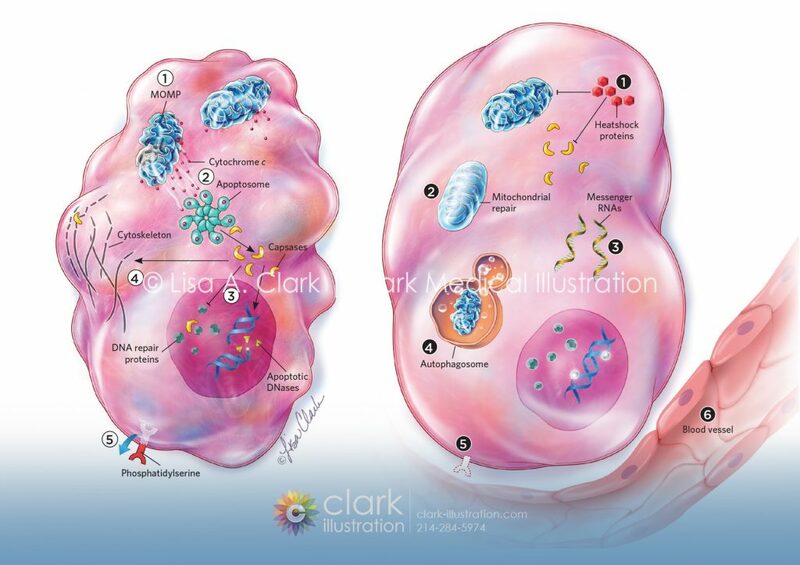 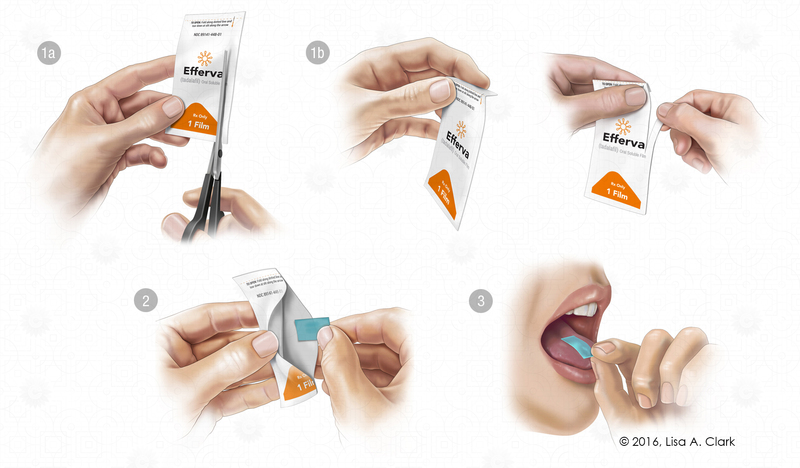 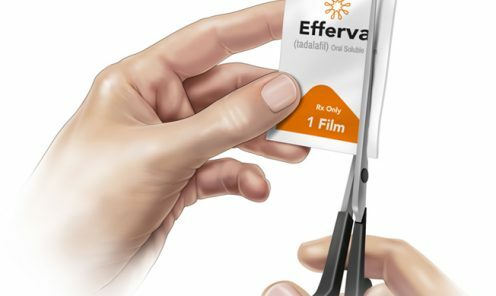 Packaging illustrations to help patients correctly handle and use an oral pharmaceutical film. 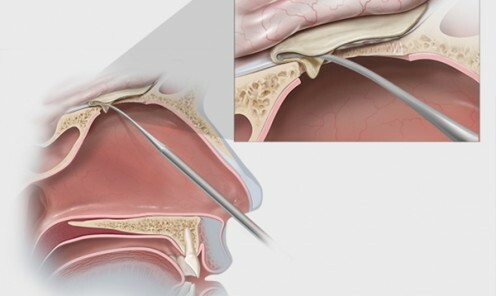 Otitis externa refers to an inflammation of the dog's outer ear, which is commonly caused by bacterial or yeast infection. 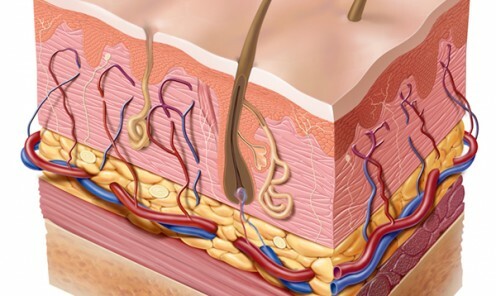 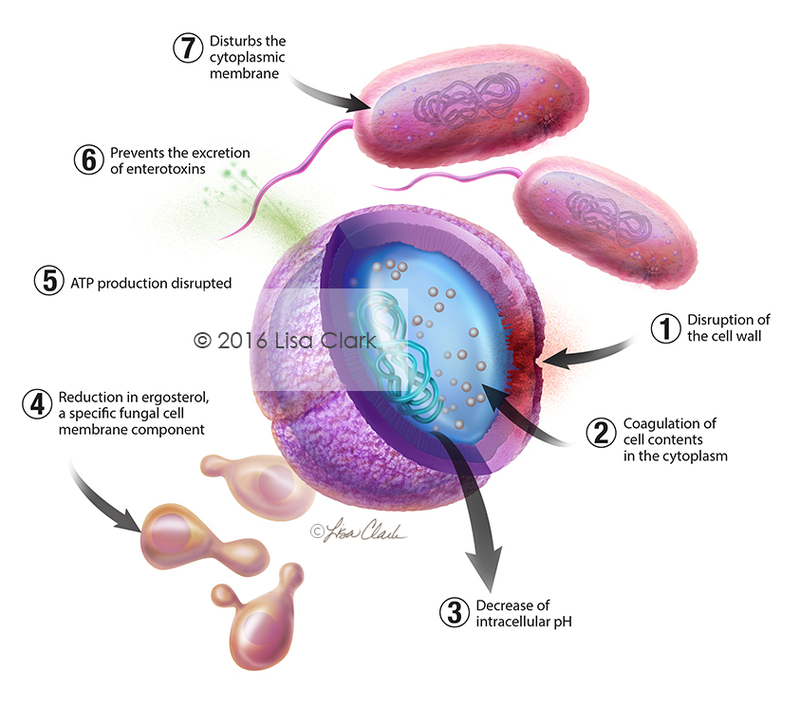 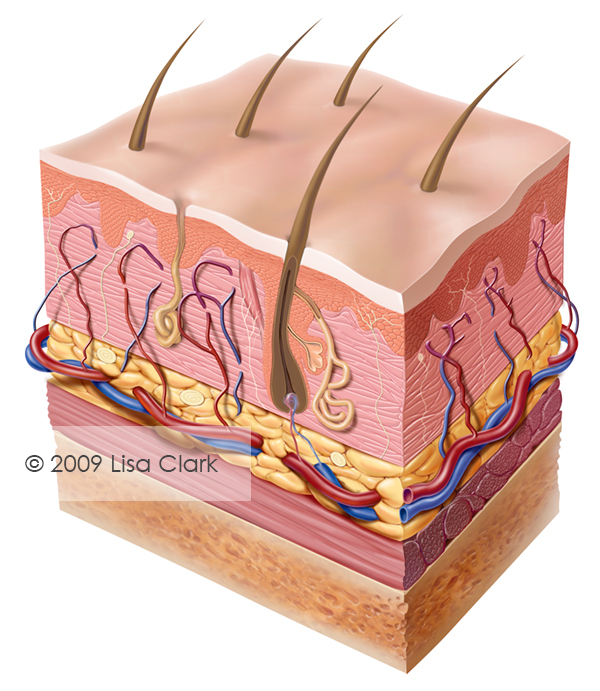 This illustration was created to demonstrate the mode of action for a veterinary company’s new ointment. 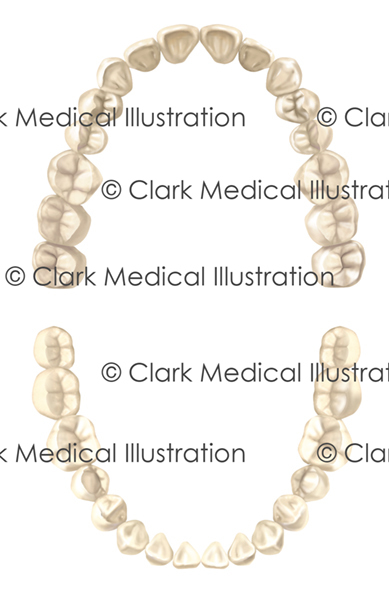 Bladder stones in dogs (urinary calculi) cause the condition urolithiasis. 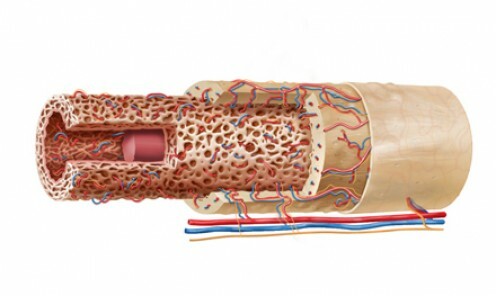 Stones may form anywhere in the entire urinary tract, including the bladder, ureters and kidneys. 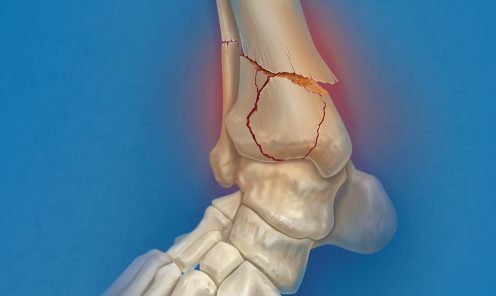 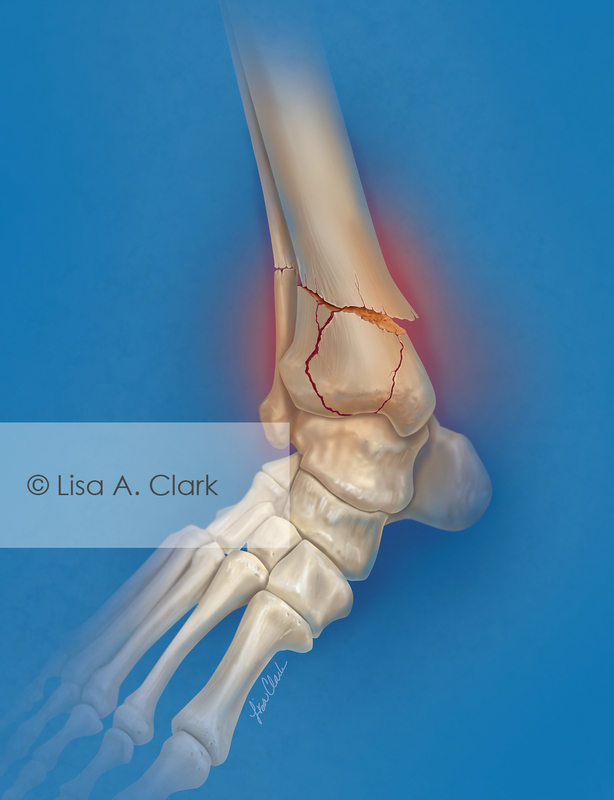 A bidirectional growth plate on the concave side of the fracture promotes bone growth in opposing directions, generating a force that brings the bone fragments into alignment. 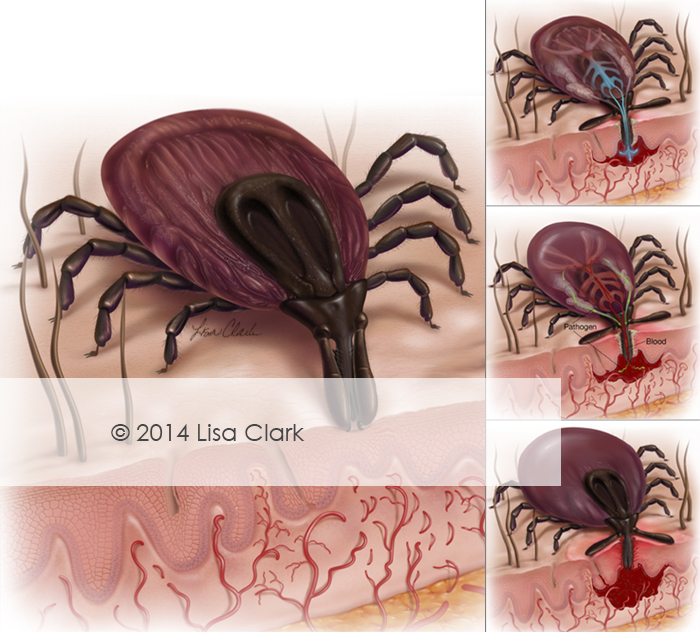 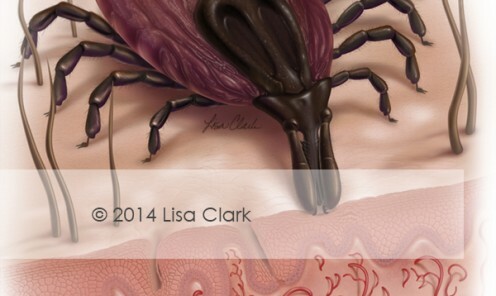 Ticks can transmit pathogens that cause disease through the process of feeding on a host animal. 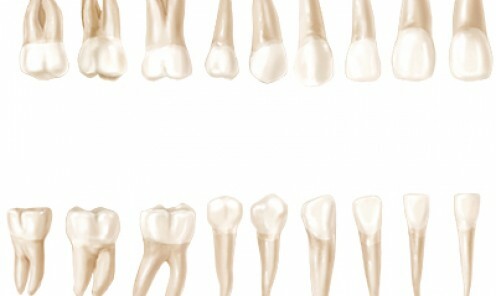 3D ProFuse Bioscaffold is a demineralized bone scaffold shaped to take advantage of natural cancellous bone properties. 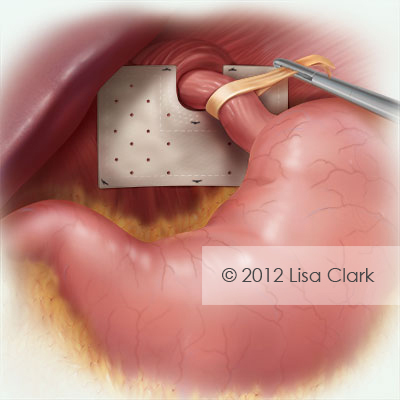 Esophagogastric fundoplication procedure to relieve chronic acid reflux caused by gastroesophogeal valve defect. 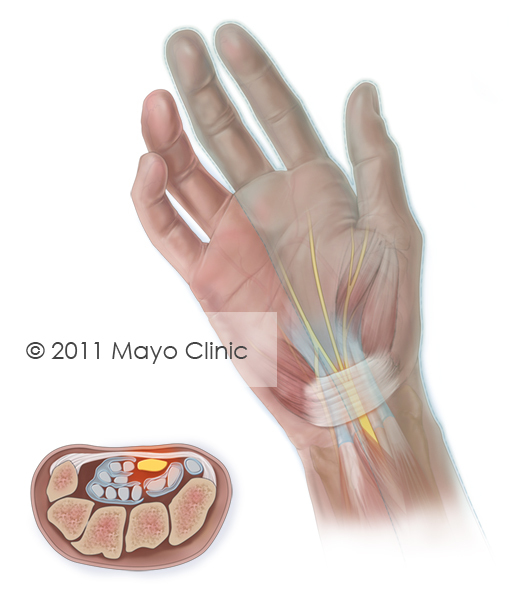 Carpal tunnel syndrome is a condition that causes numbness, tingling and burning in the hand. 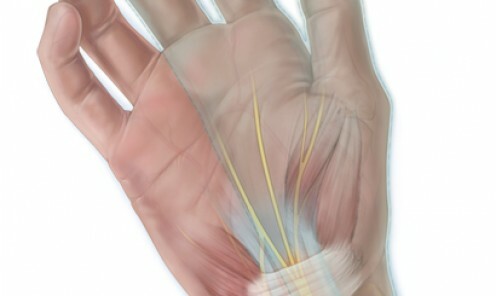 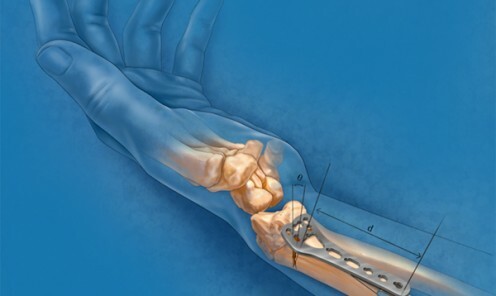 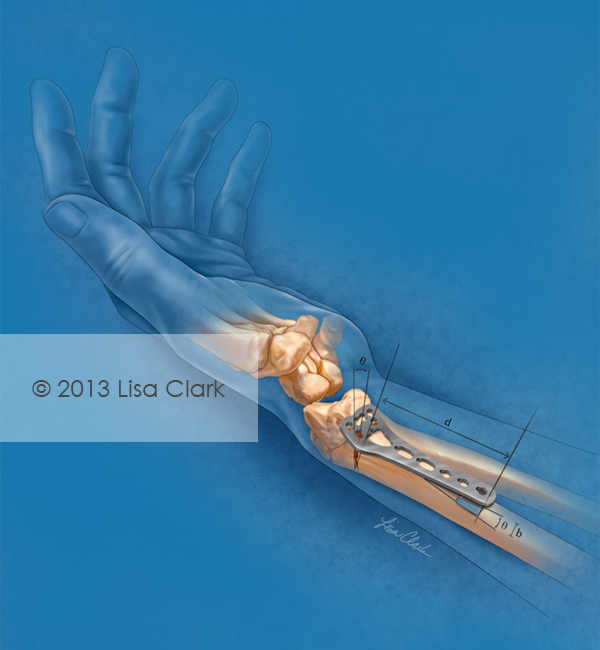 Carpal tunnel syndrome is caused by inflammation around the nerves in the wrist. 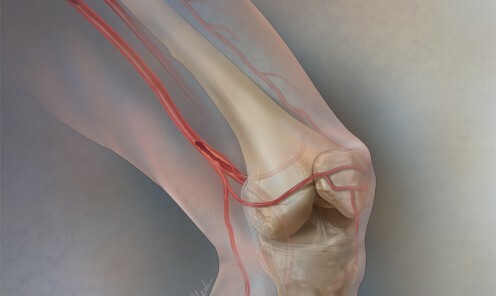 Arthritis is an inflammation of joints. 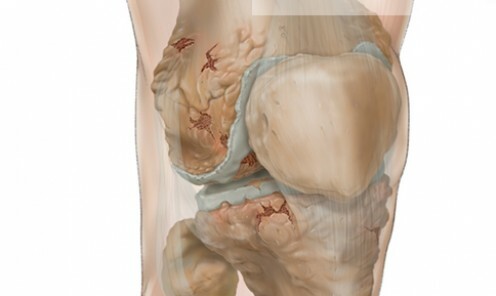 Osteoarthritis (OA) is divided into five stages. 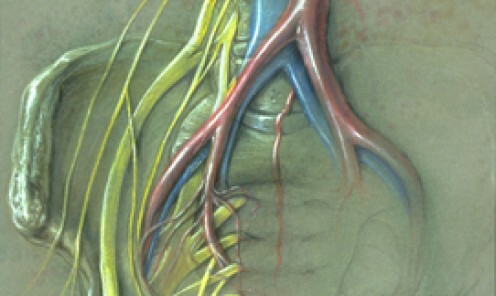 The highest stage, 4, is assigned to severe OA. 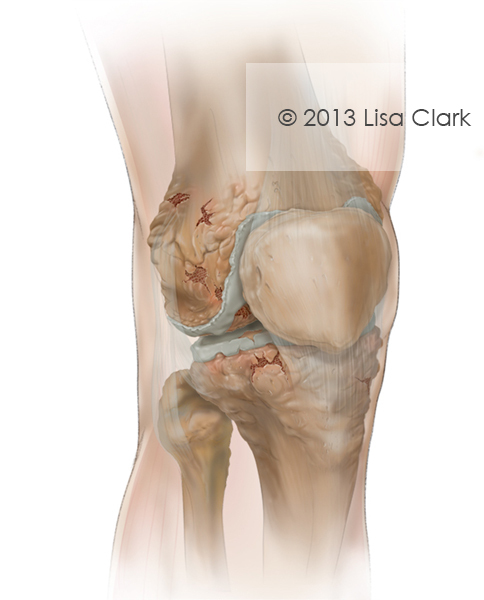 OA that has become this advanced is likely causing significant pain and disruption to joint movement. 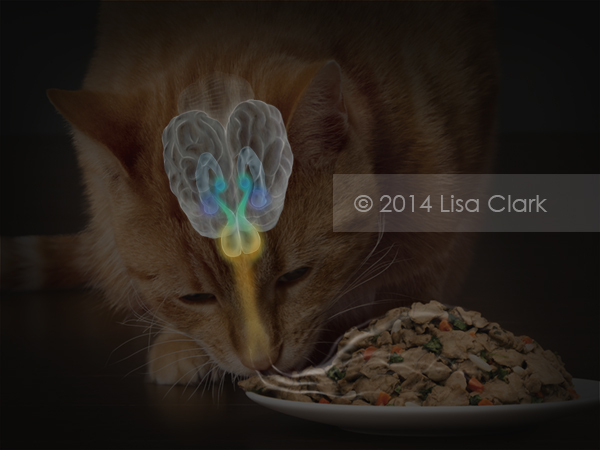 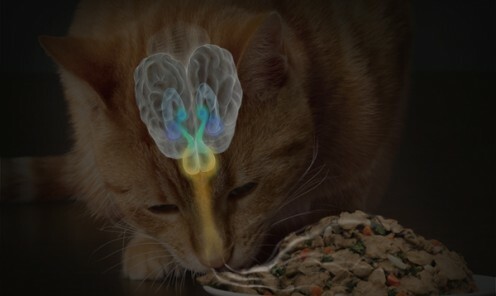 This is a still from a recent animation project on the feline olfactory system and appetite. 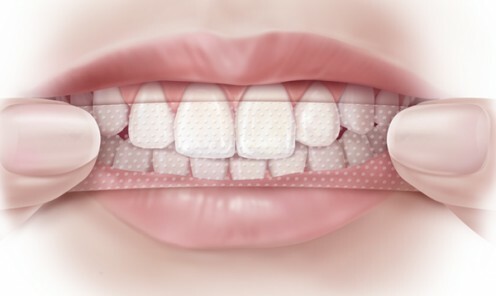 Teeth whitening strips are a popular home remedy for fixing stained or discolored teeth. 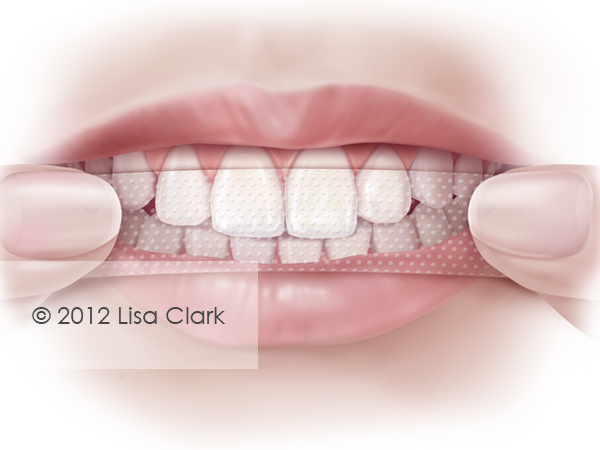 This image was created as a marketing piece for a dental product manufacturer. 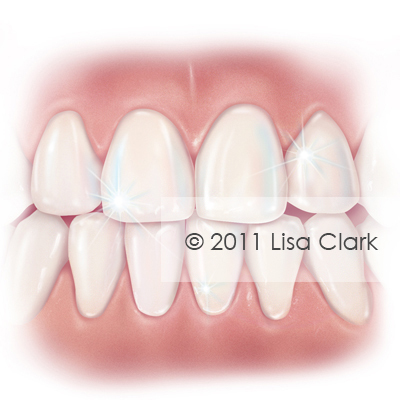 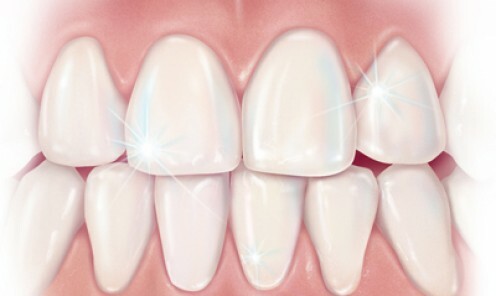 Frontal view of health adult teeth and gums. 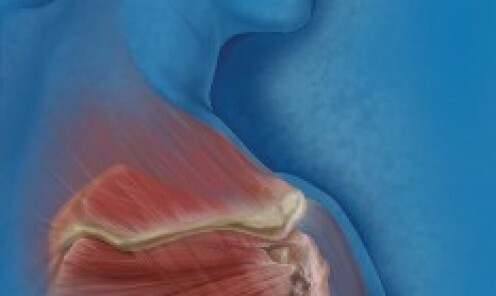 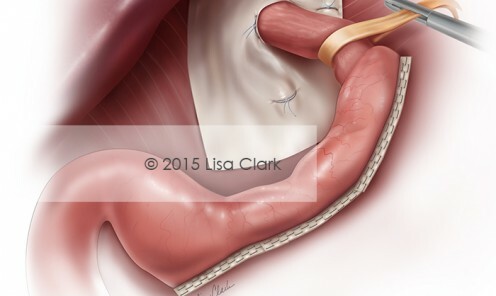 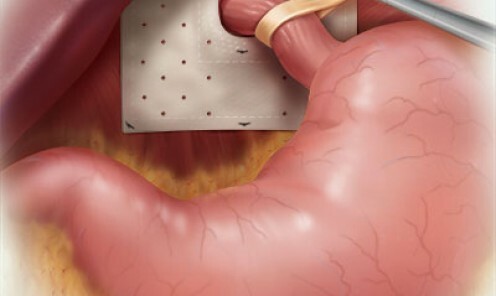 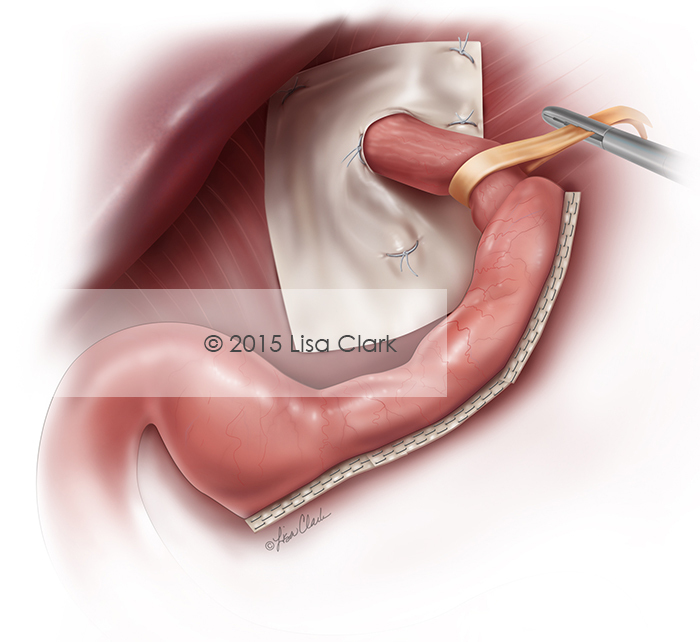 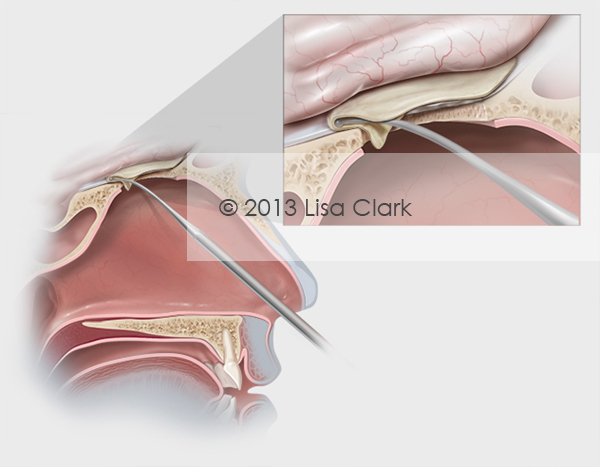 Esophageal stricture is a narrowing of the esophagus that causes swallowing difficulties. 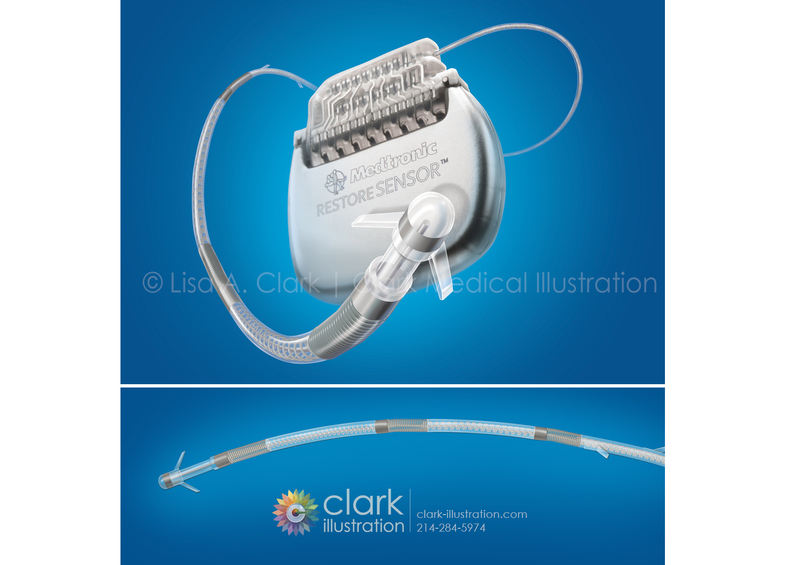 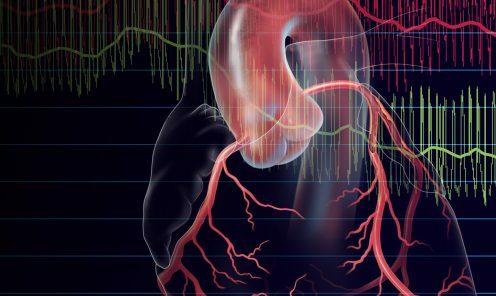 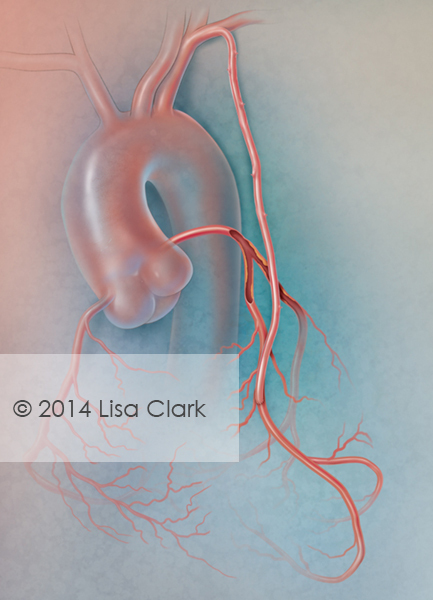 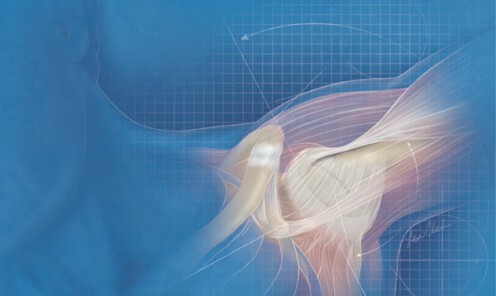 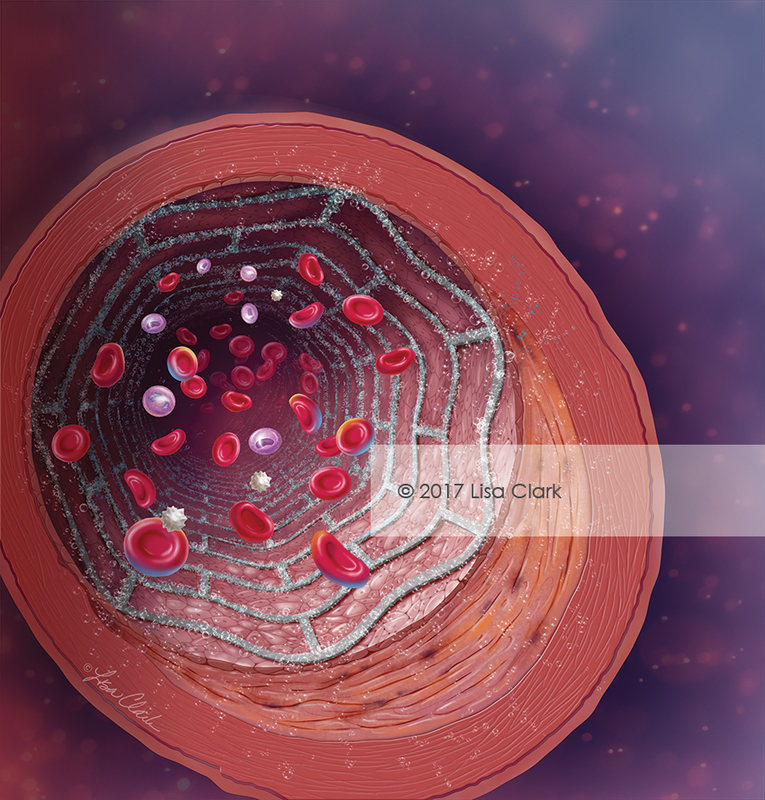 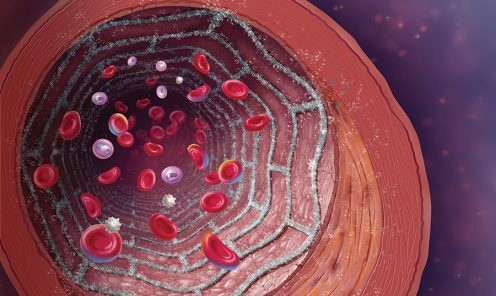 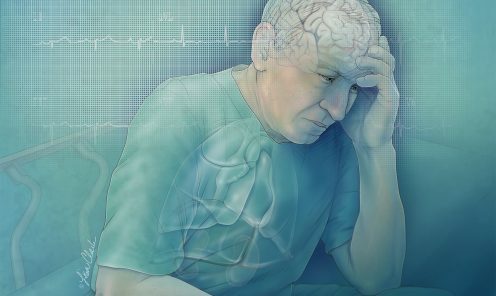 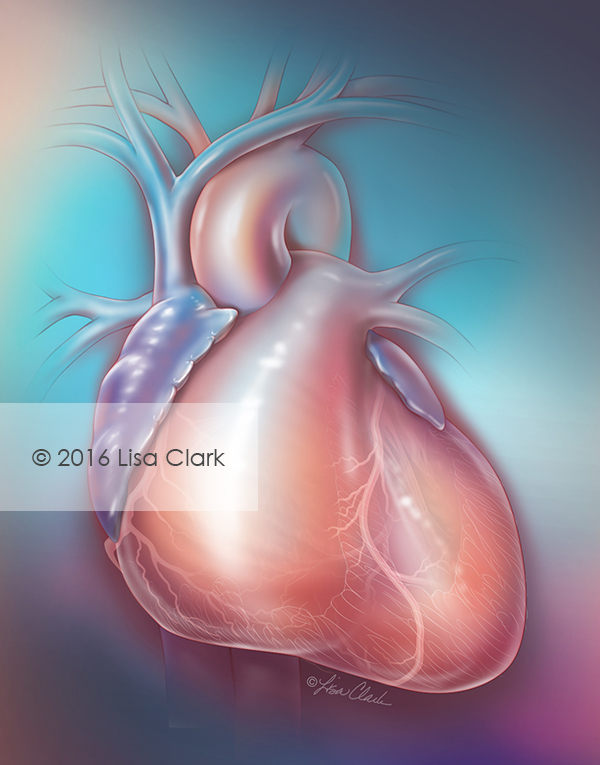 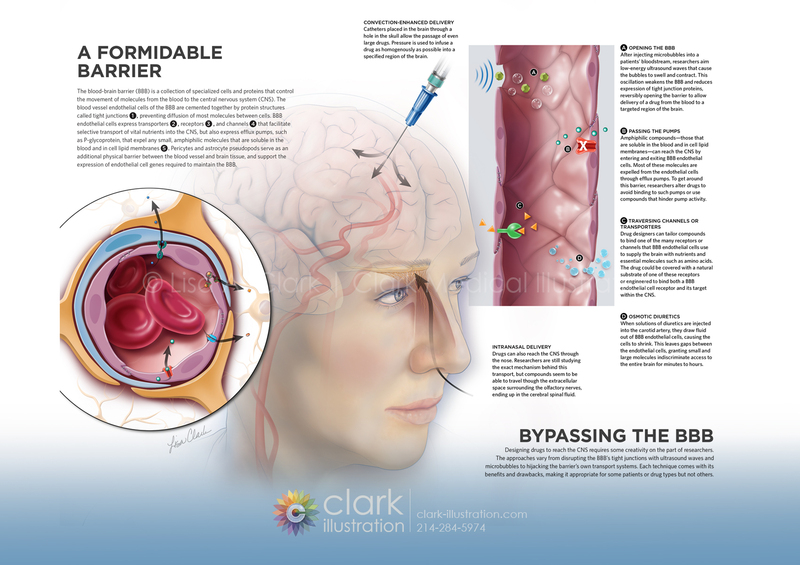 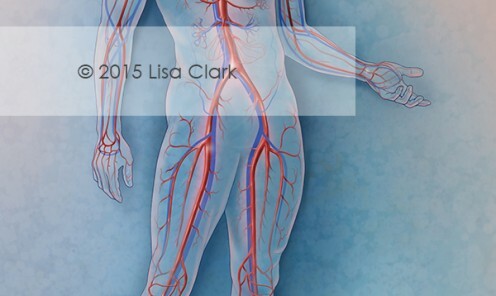 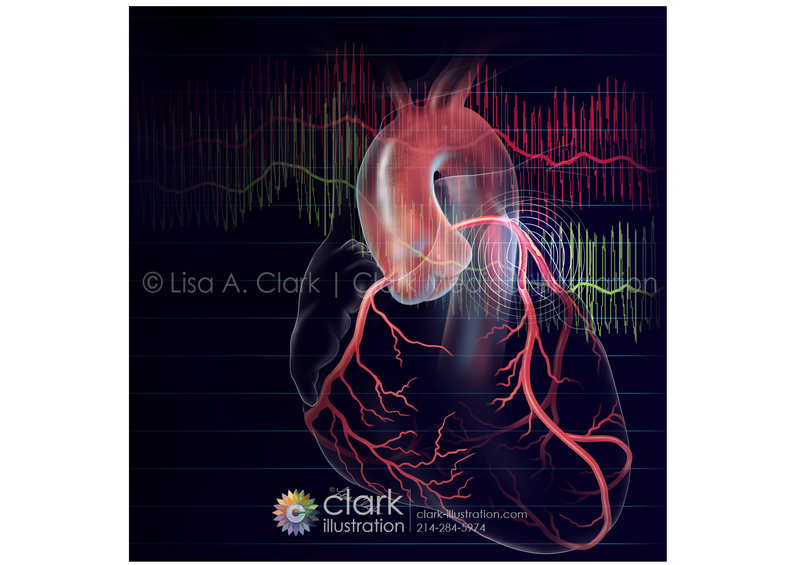 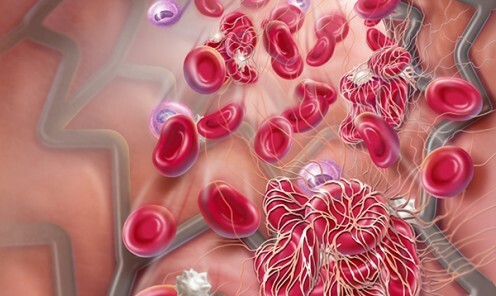 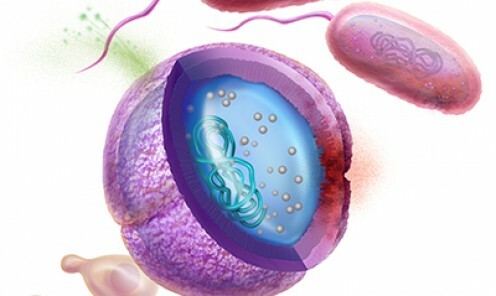 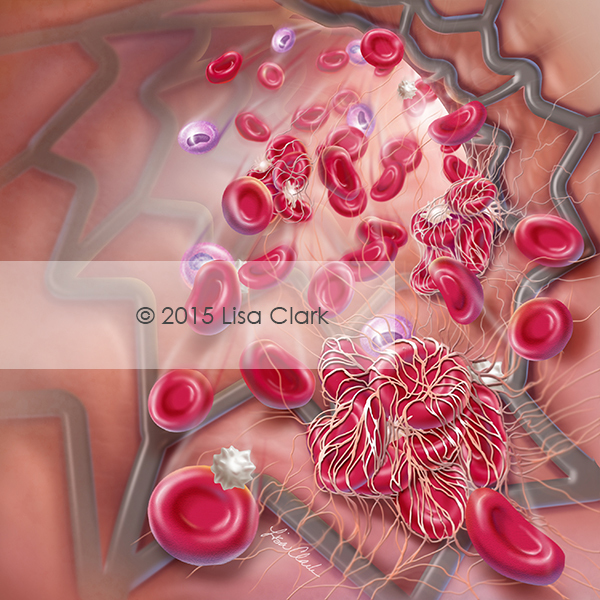 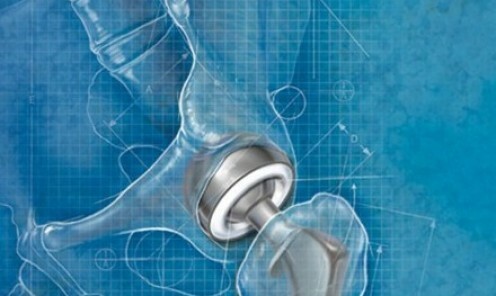 This image was used for medical device marketing materials. 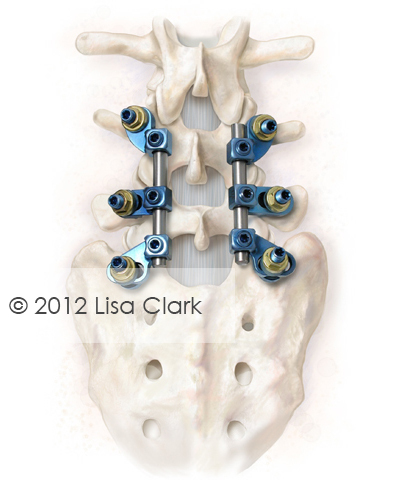 Spinal fusion is the most widely performed surgery for scoliosis. 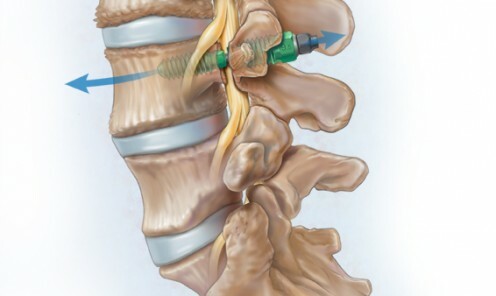 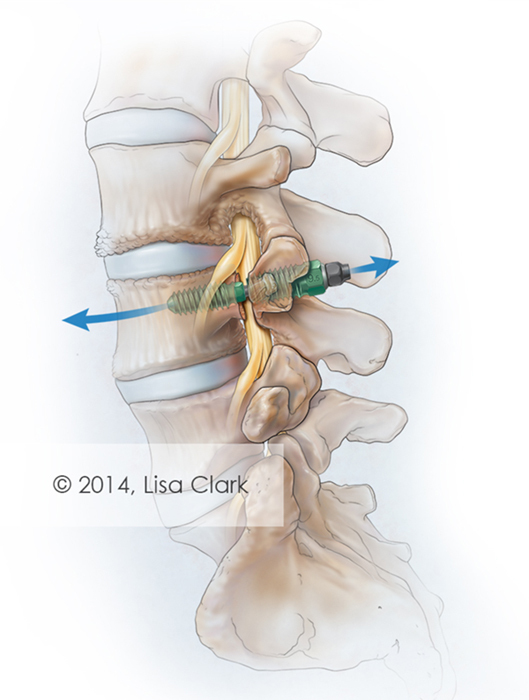 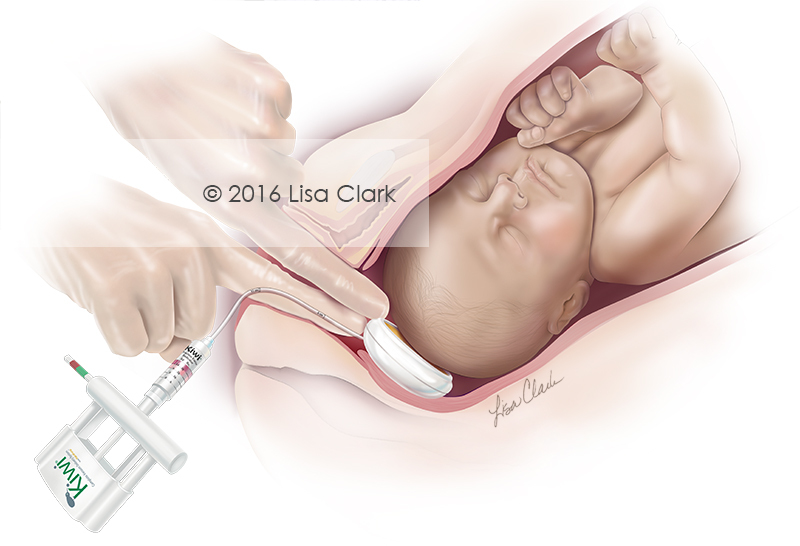 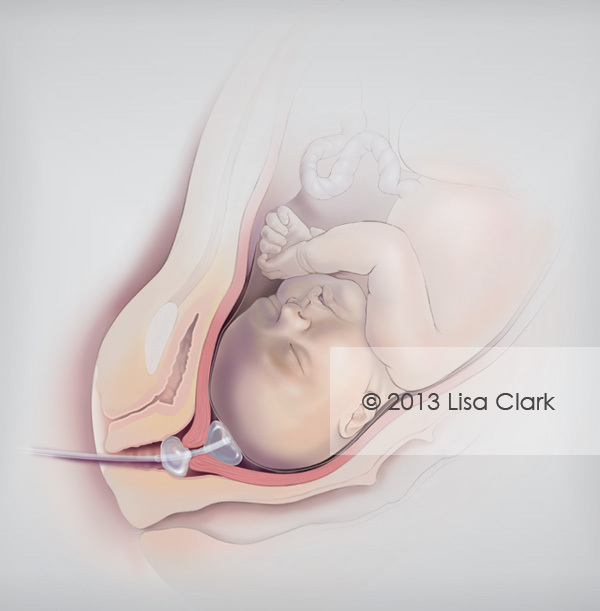 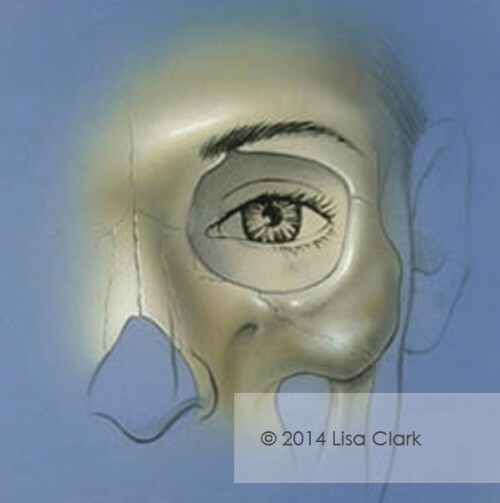 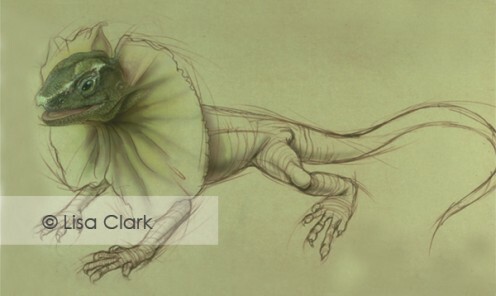 This illustration was intended to demonstrate a spinal fixation device for correction of posterior spine defects. 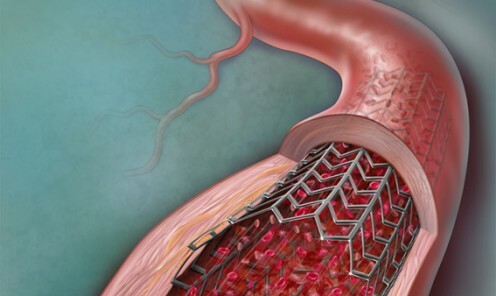 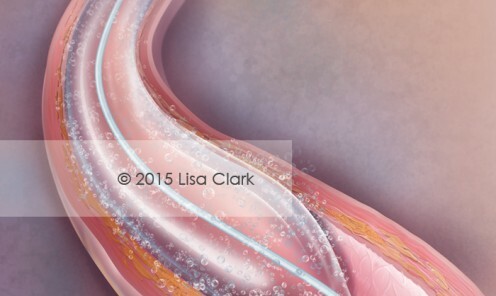 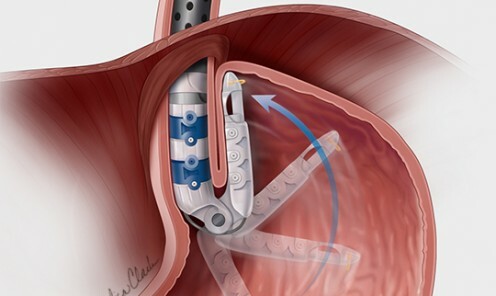 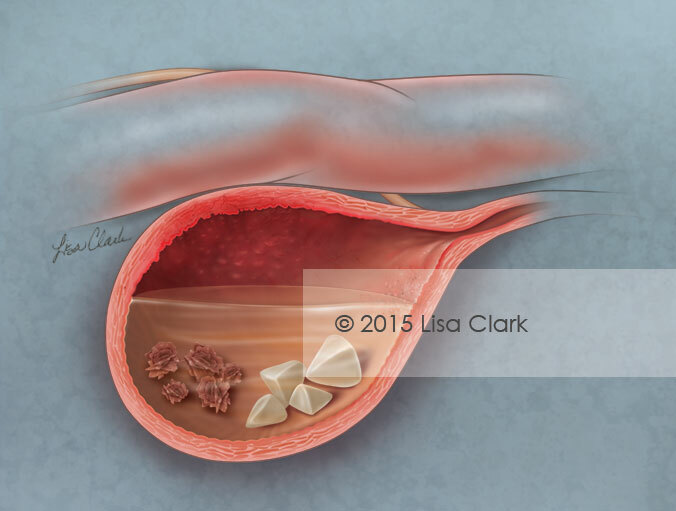 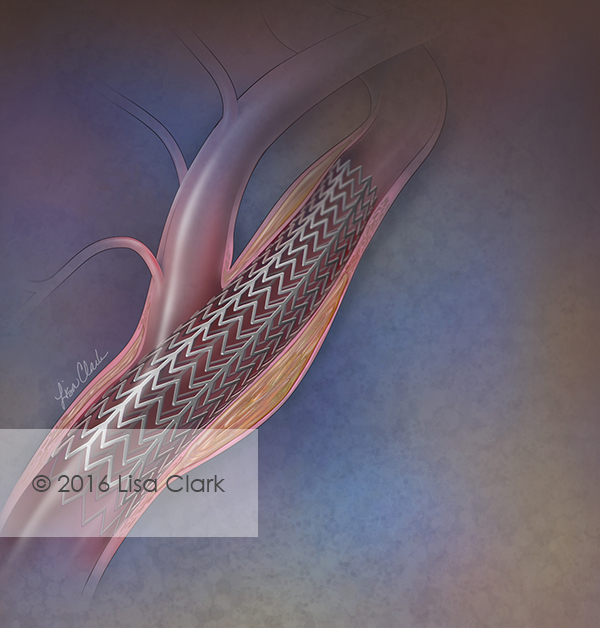 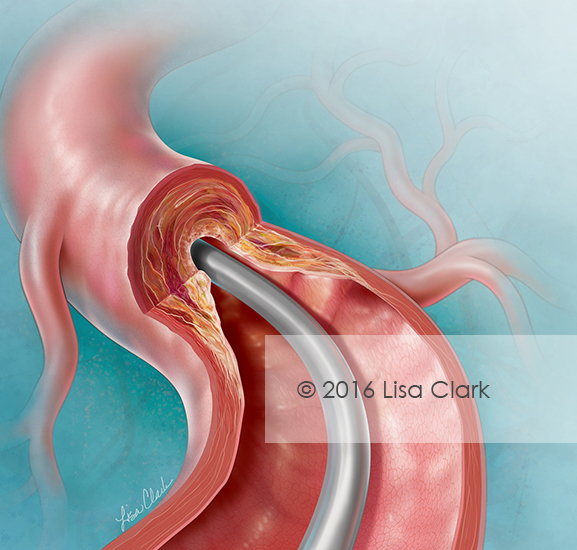 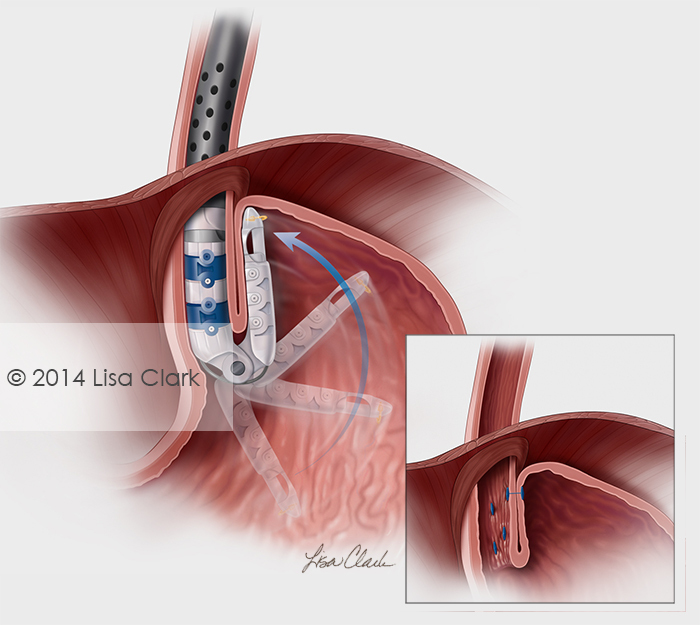 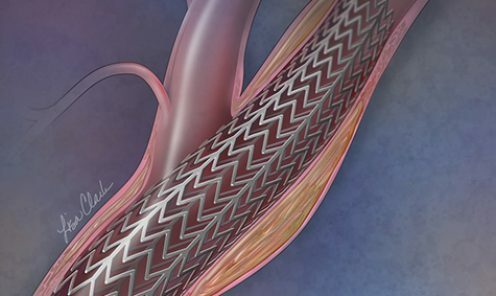 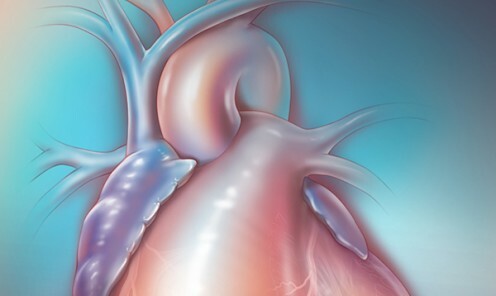 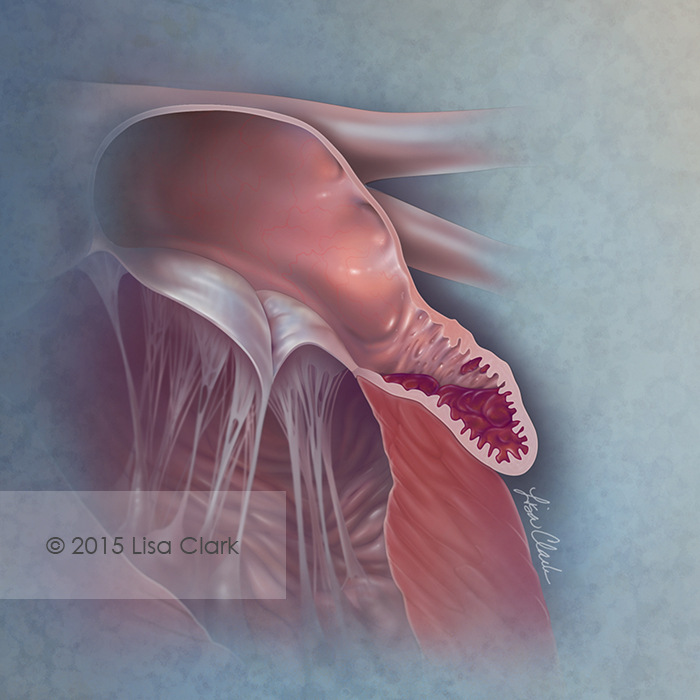 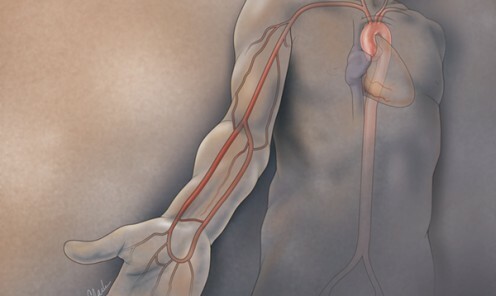 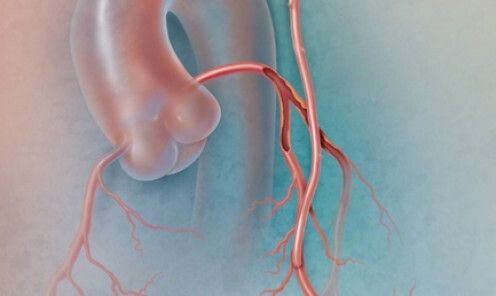 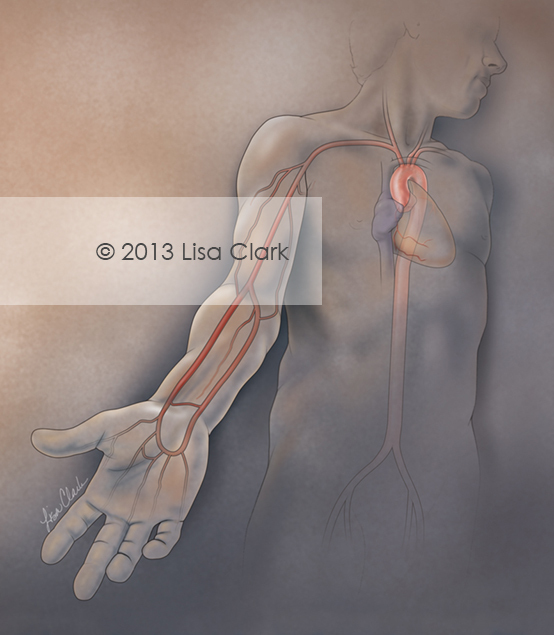 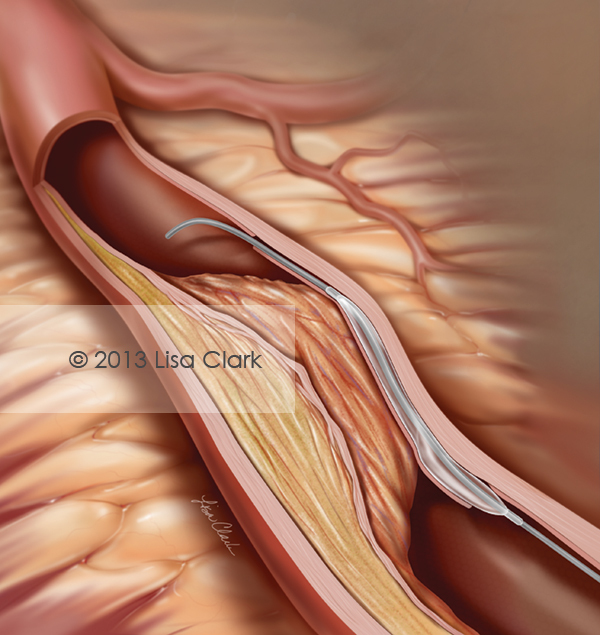 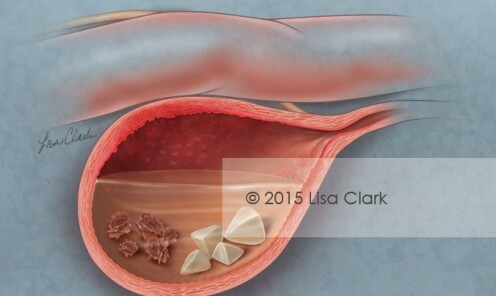 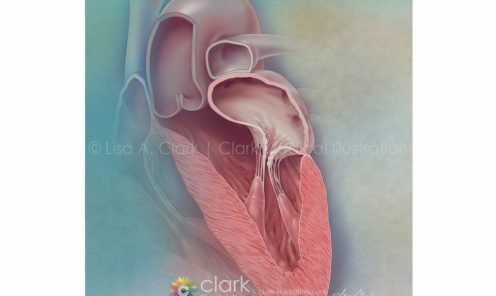 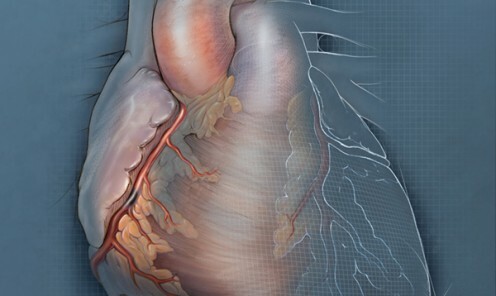 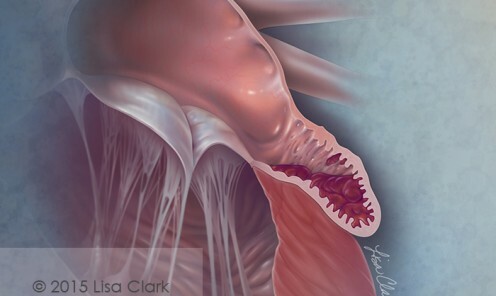 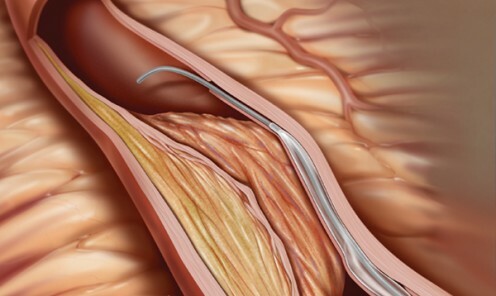 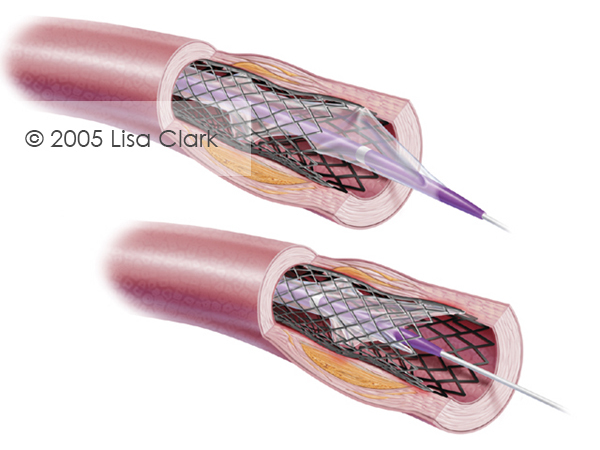 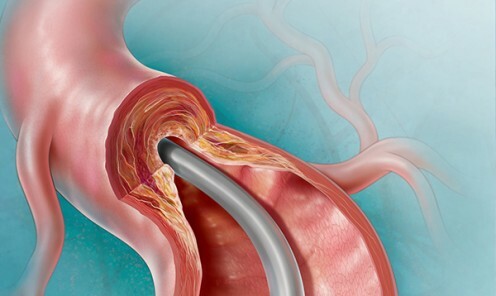 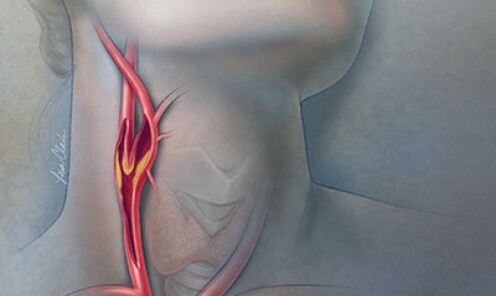 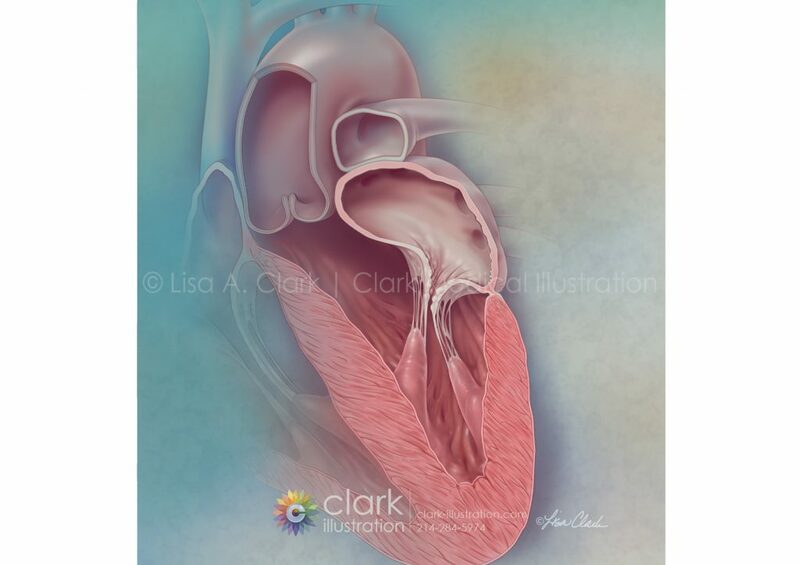 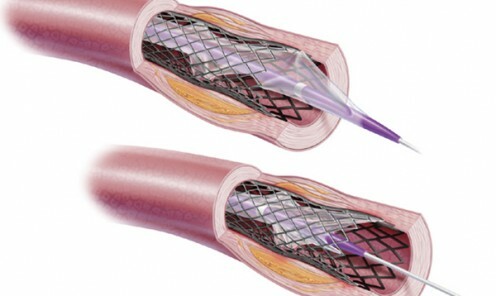 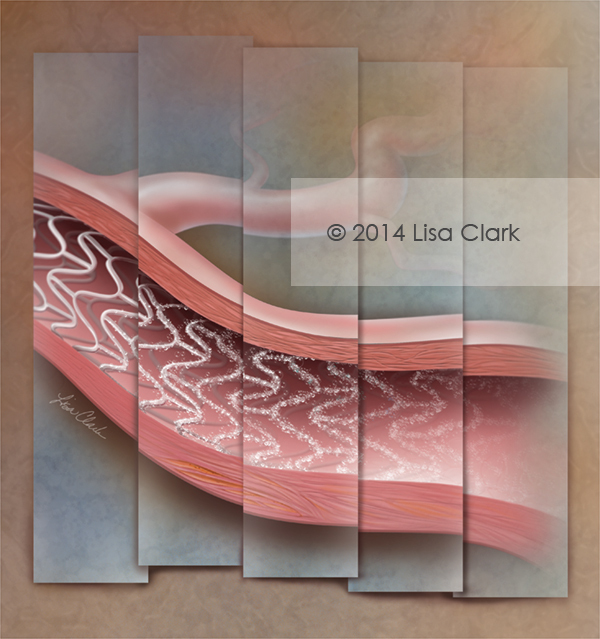 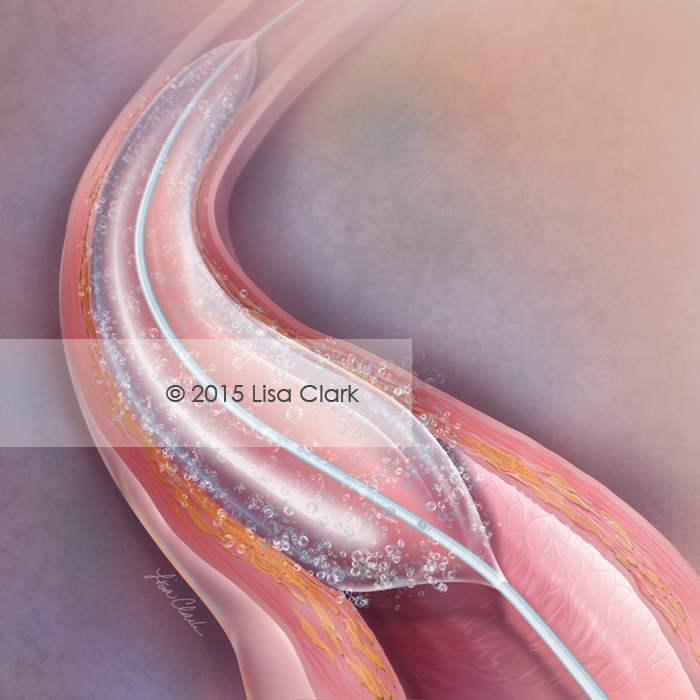 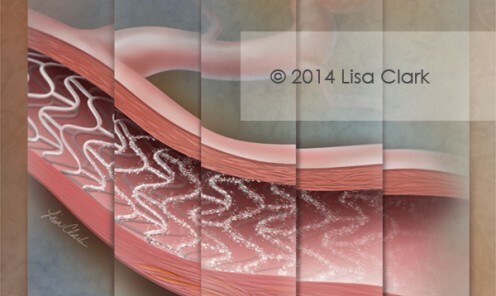 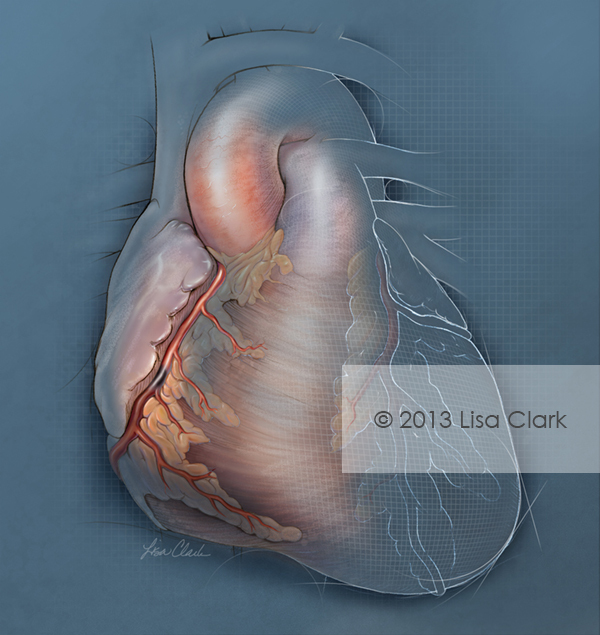 This illustration was used to show the issues that can occur when the stent delivery balloon is removed during angioplasty. 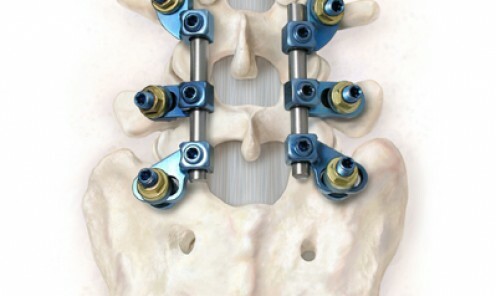 Pedicle osteotomy device system to help correct spinal stenosis. 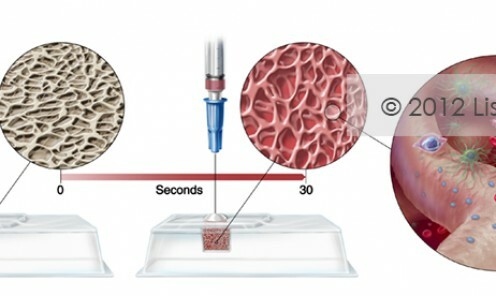 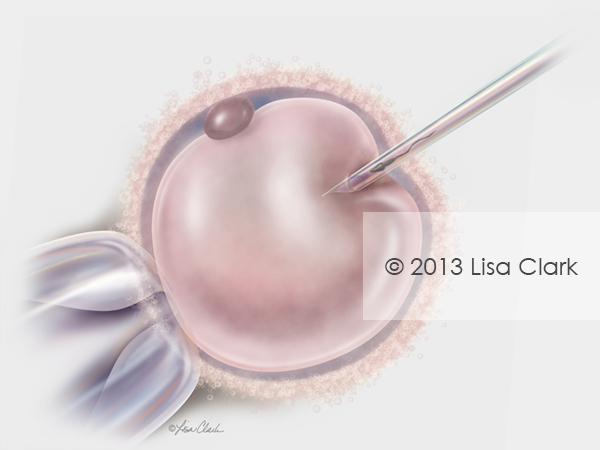 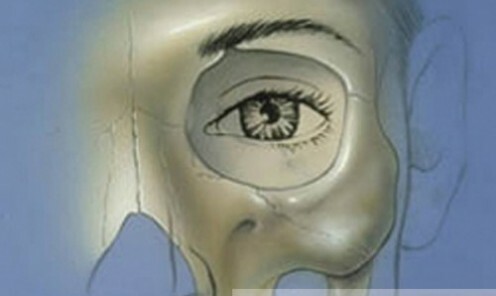 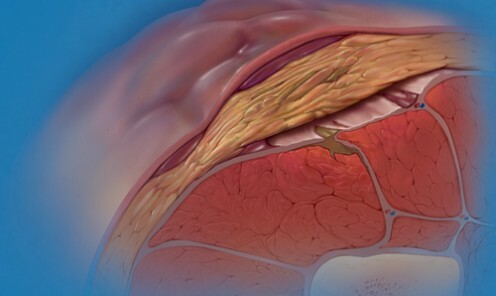 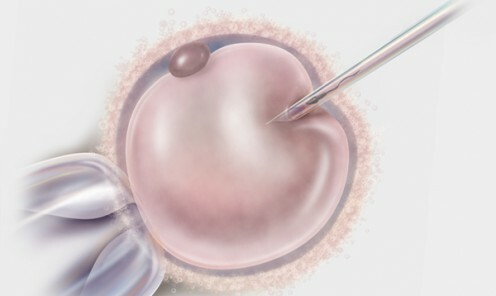 A biological graft is used to repair skull base surgery defects. 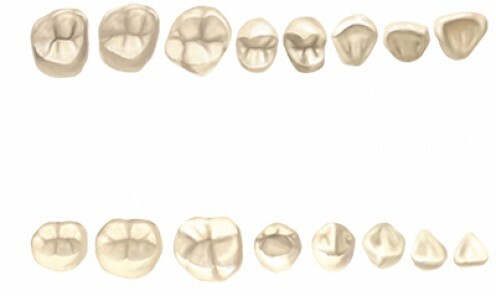 Buccal or facial view of the adult (permanent) teeth. 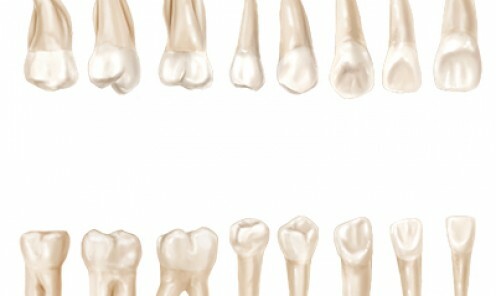 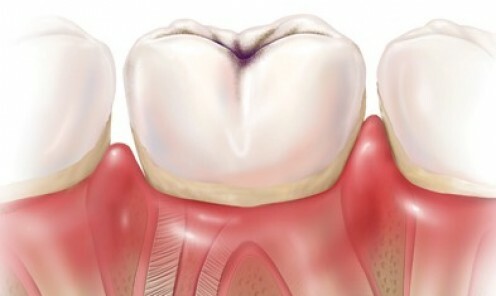 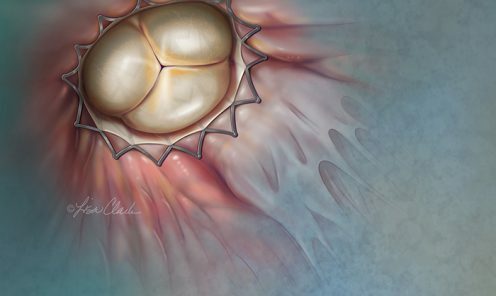 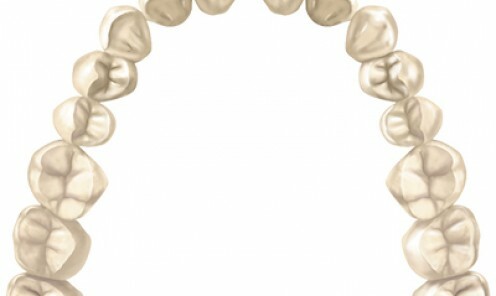 Occlusal View of the adult (permanent) teeth. 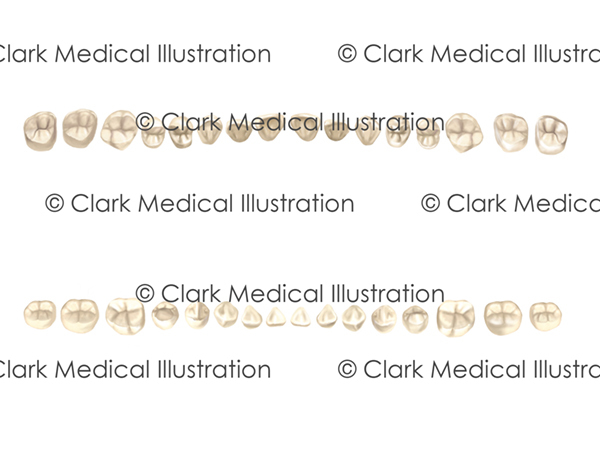 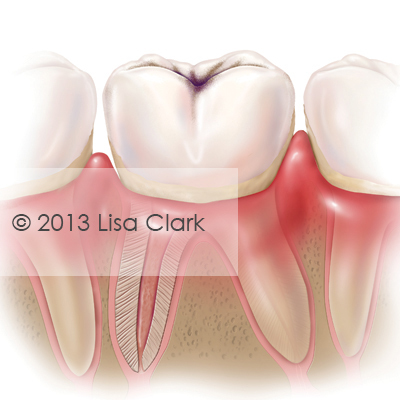 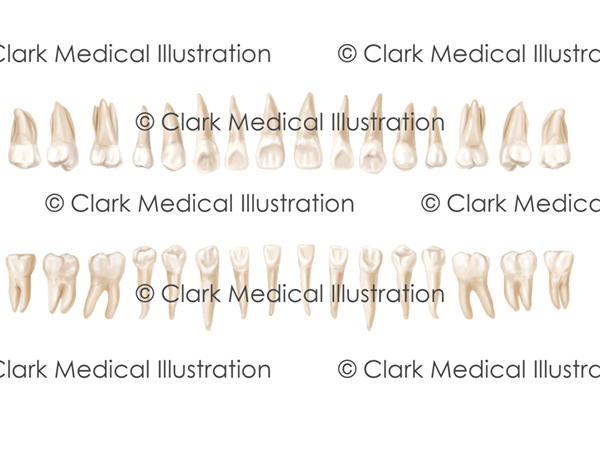 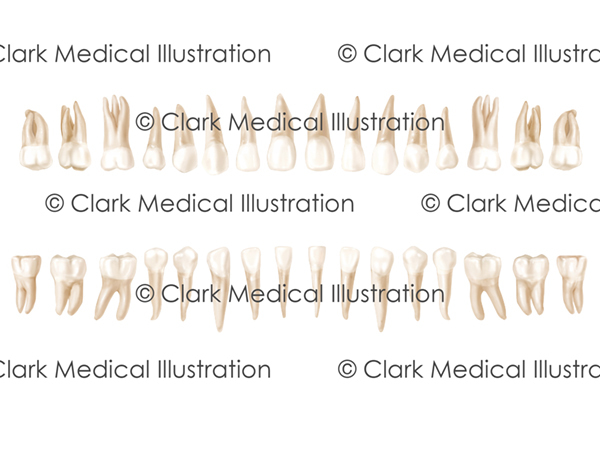 Lingual view of adult (permanent) teeth.